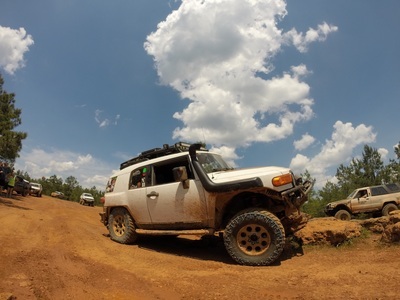 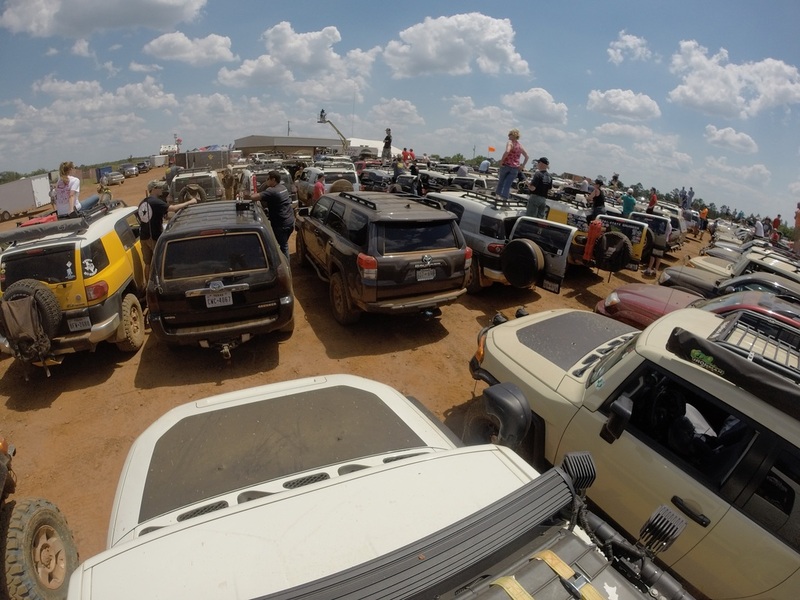 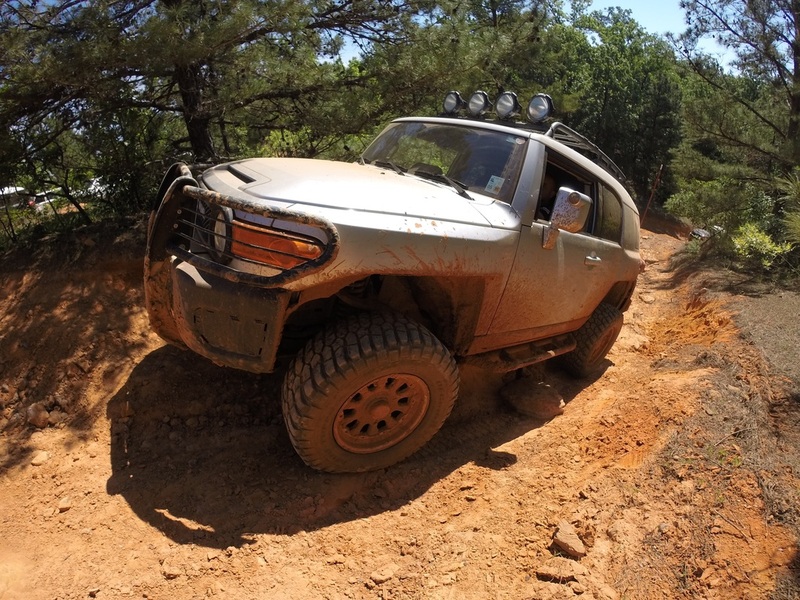 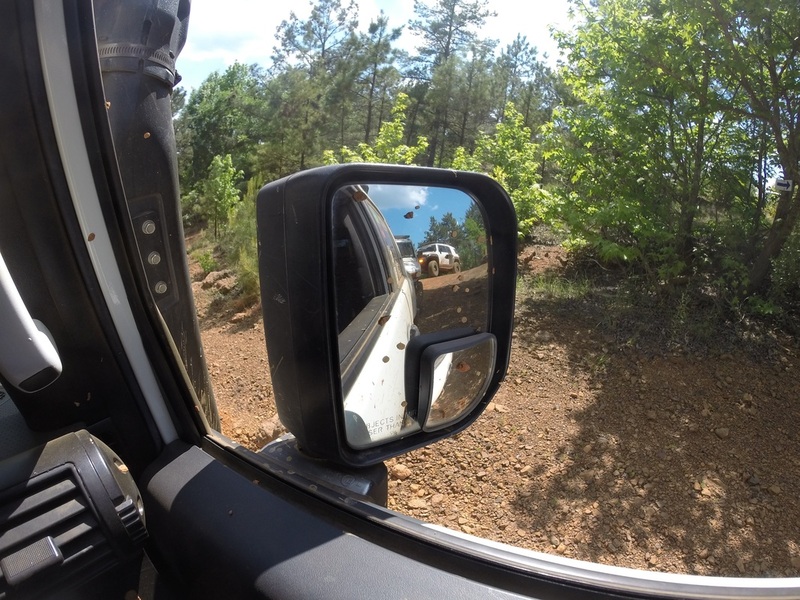 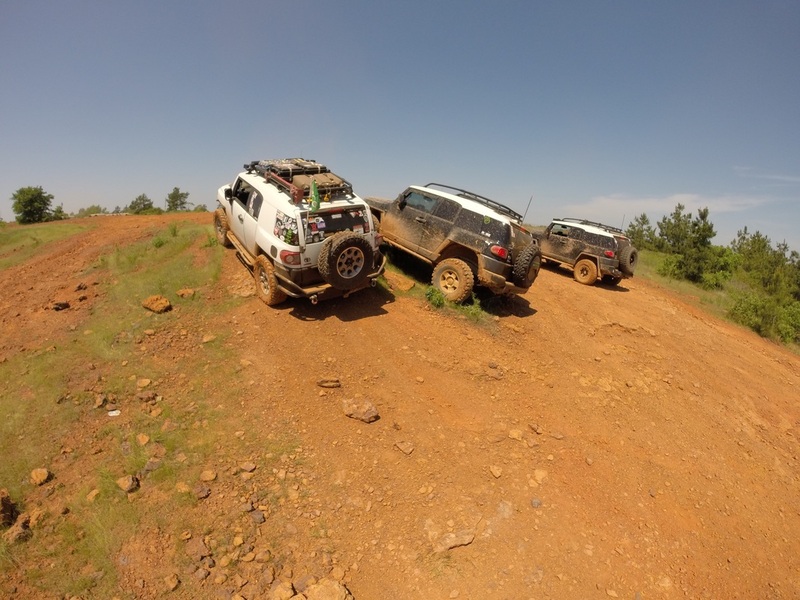 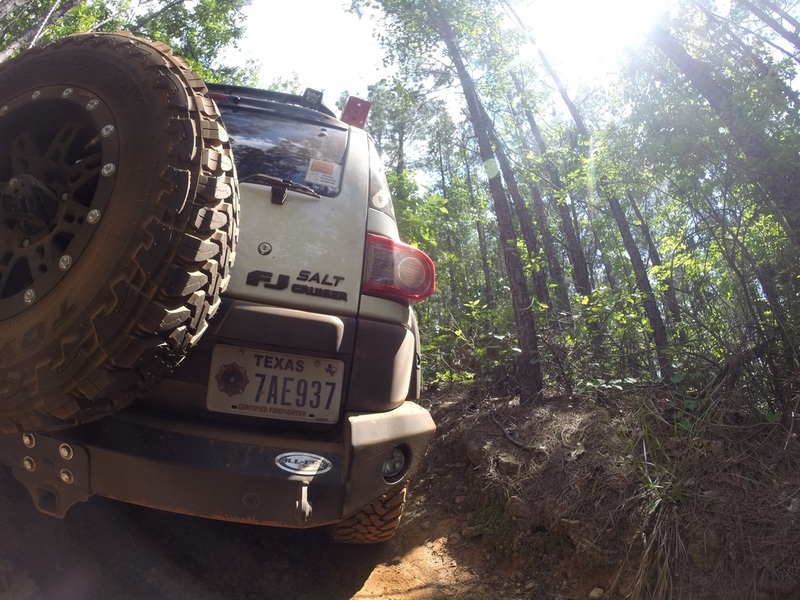 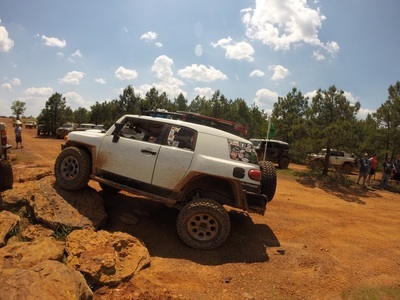 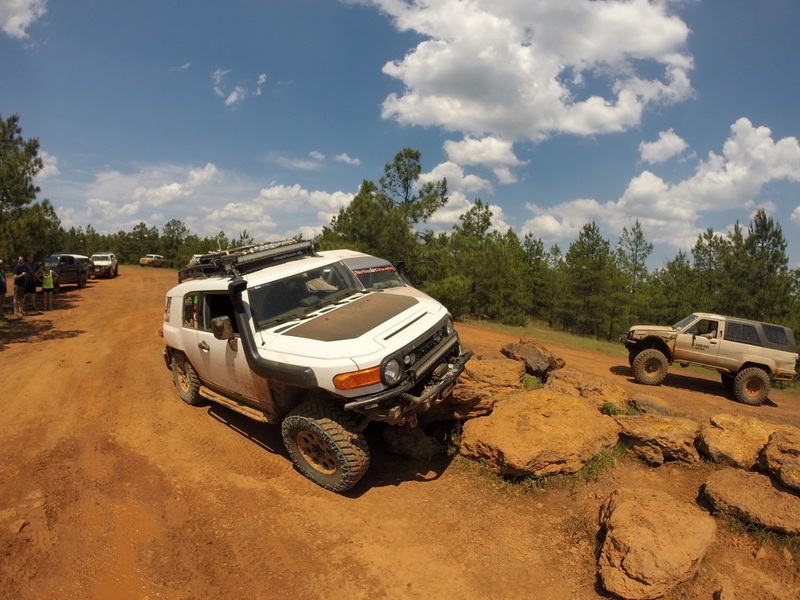 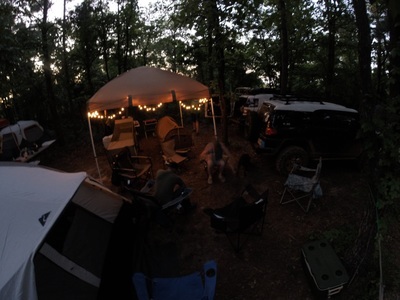 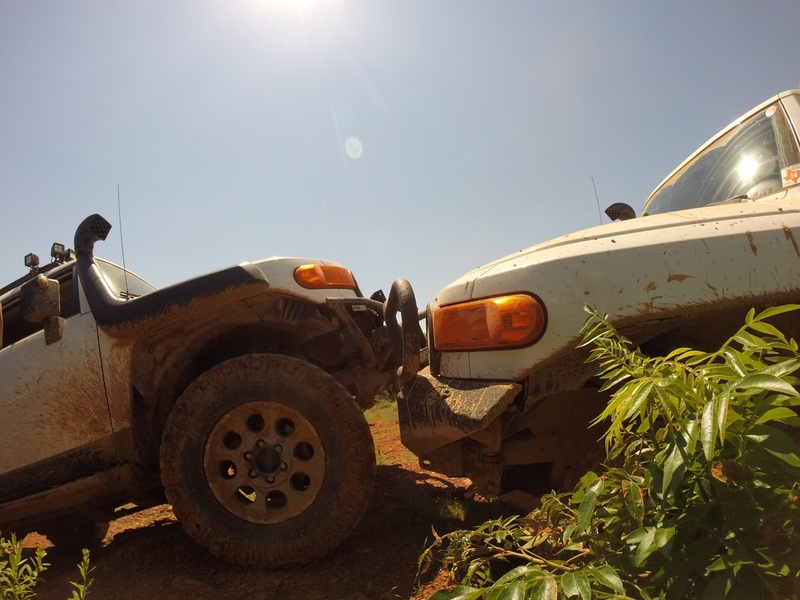 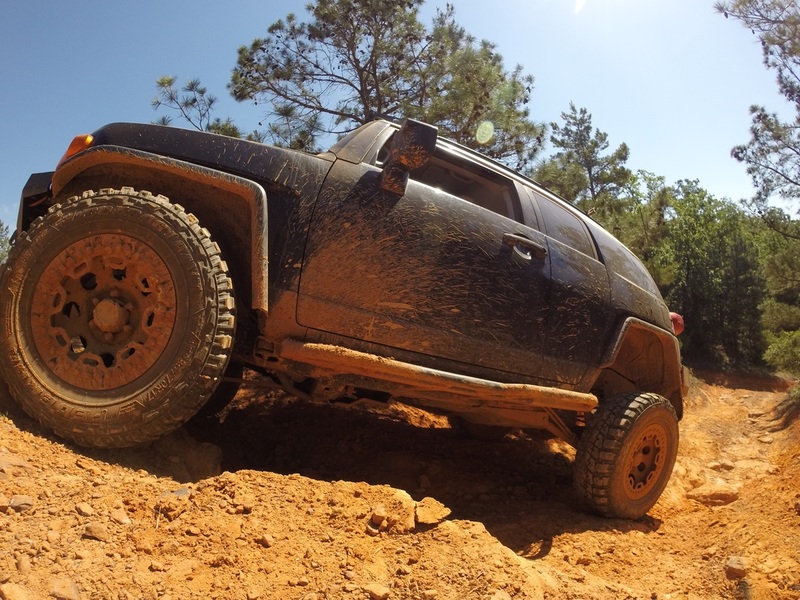 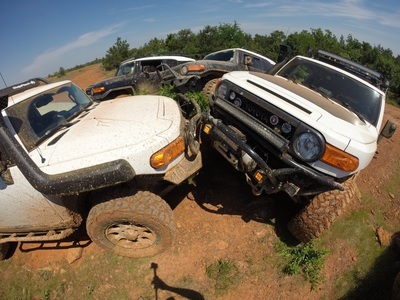 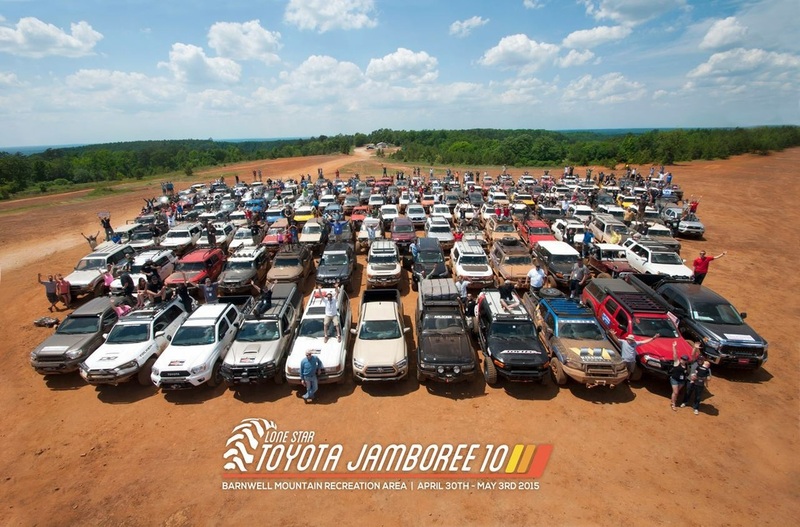 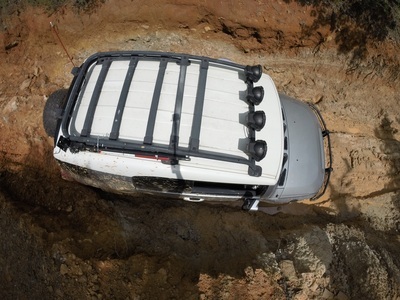 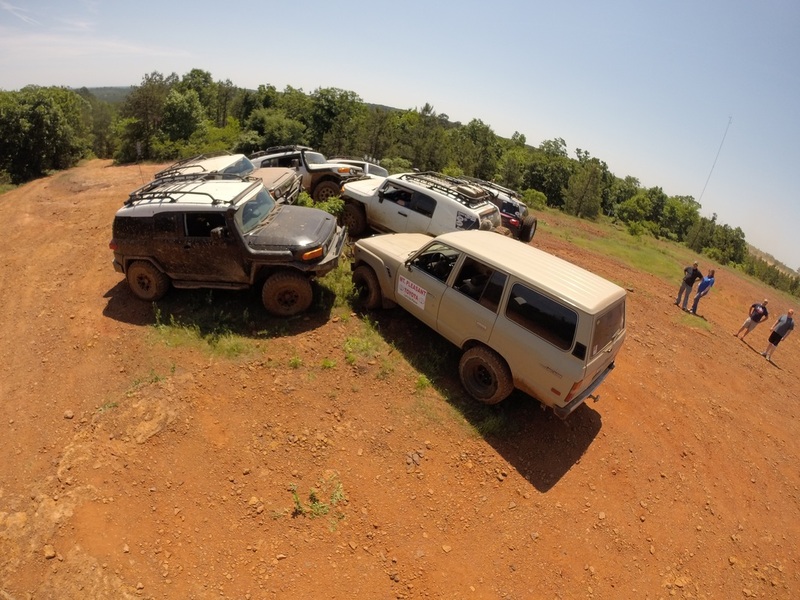 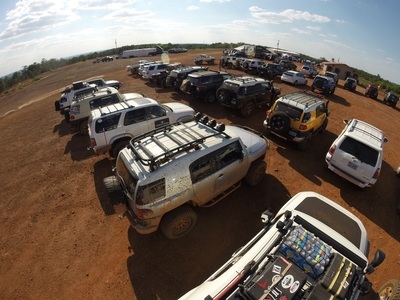 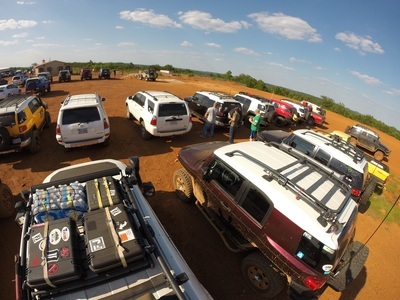 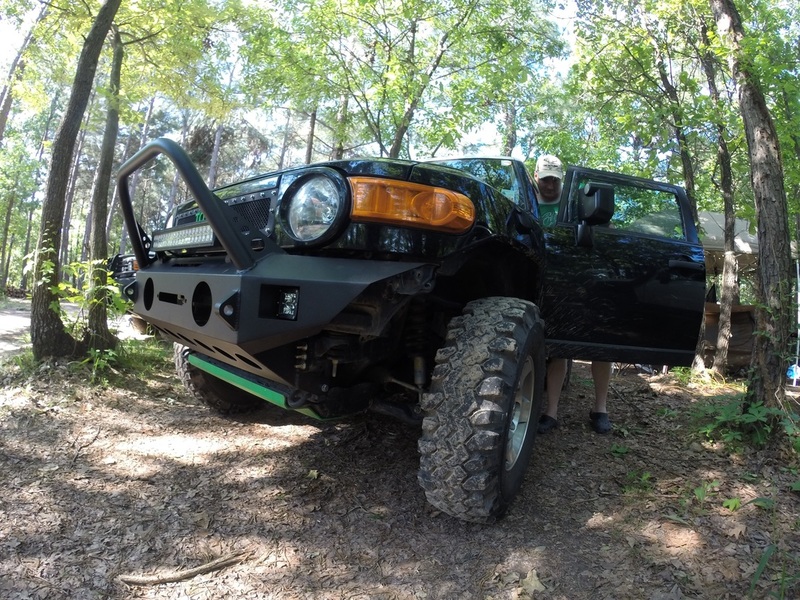 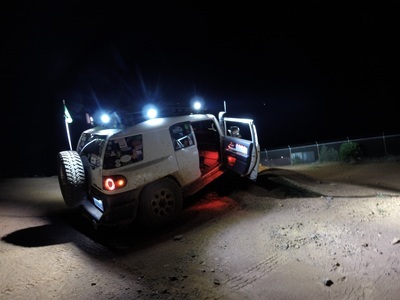 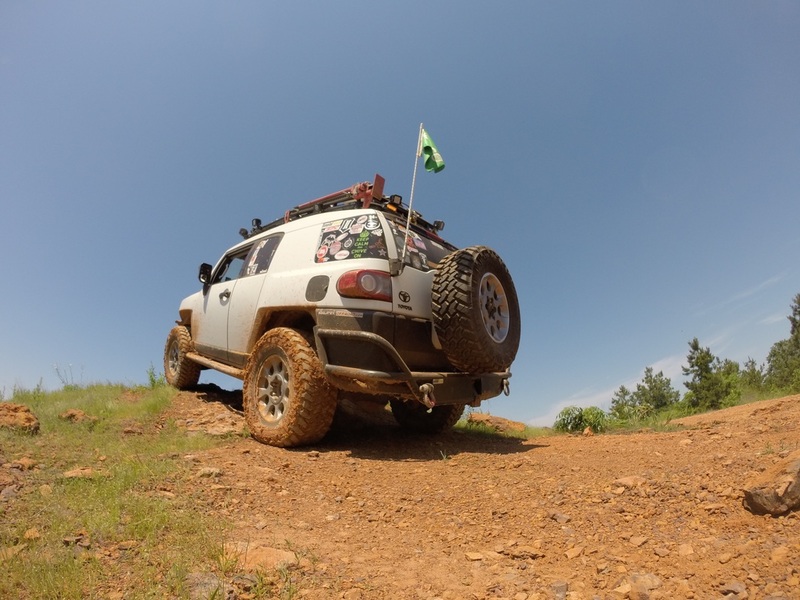 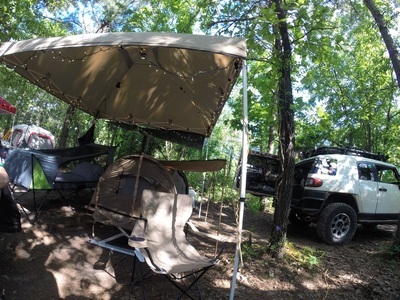 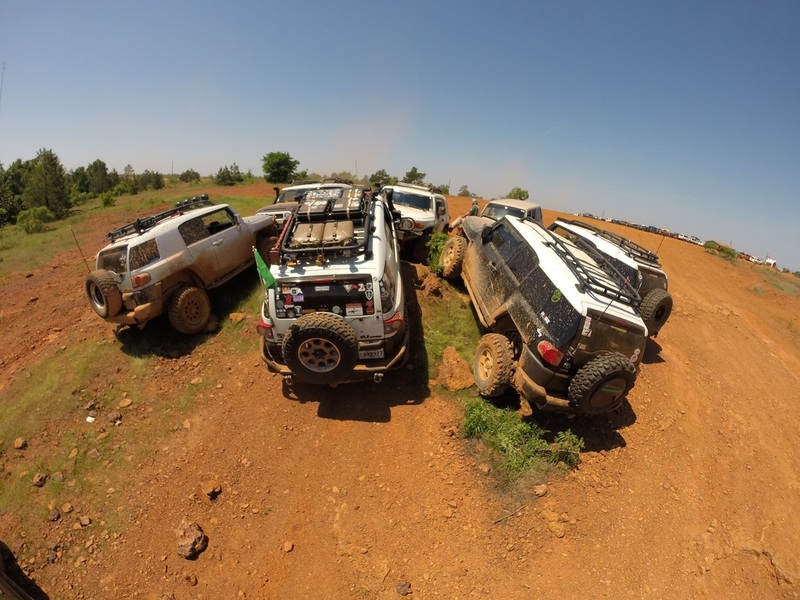 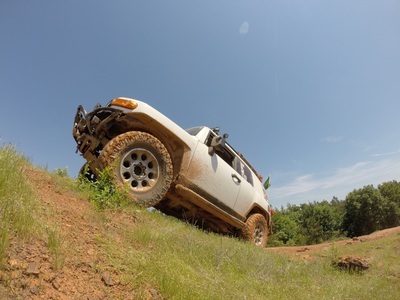 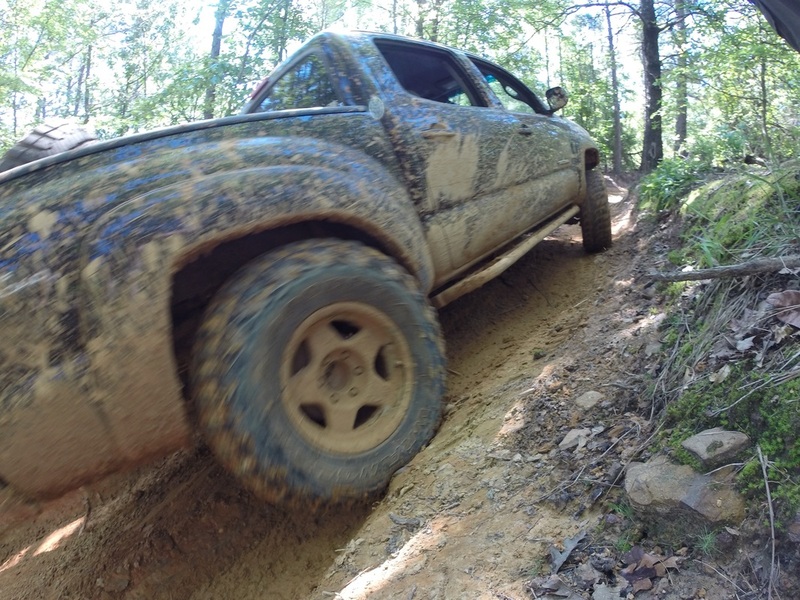 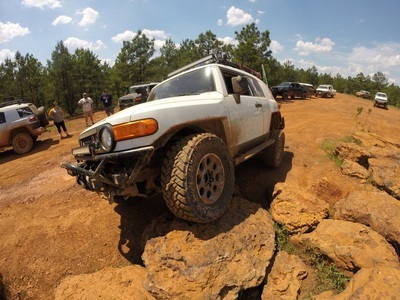 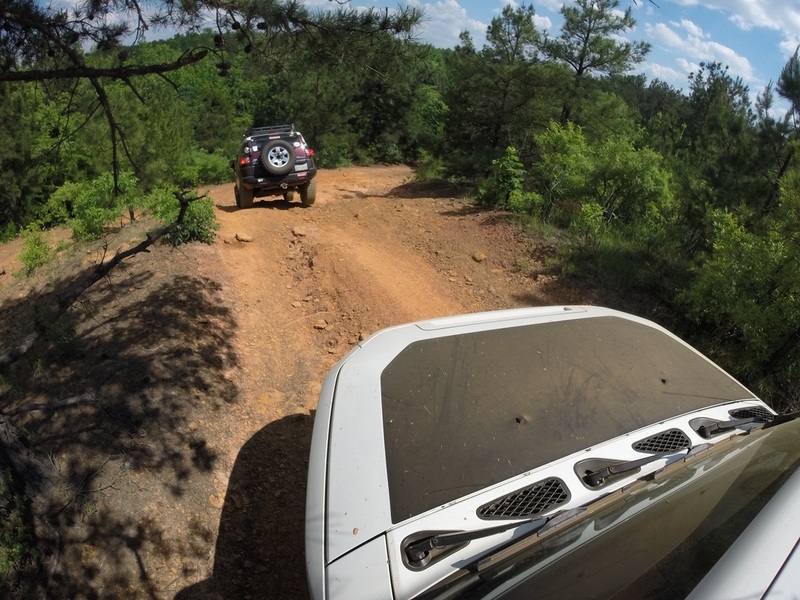 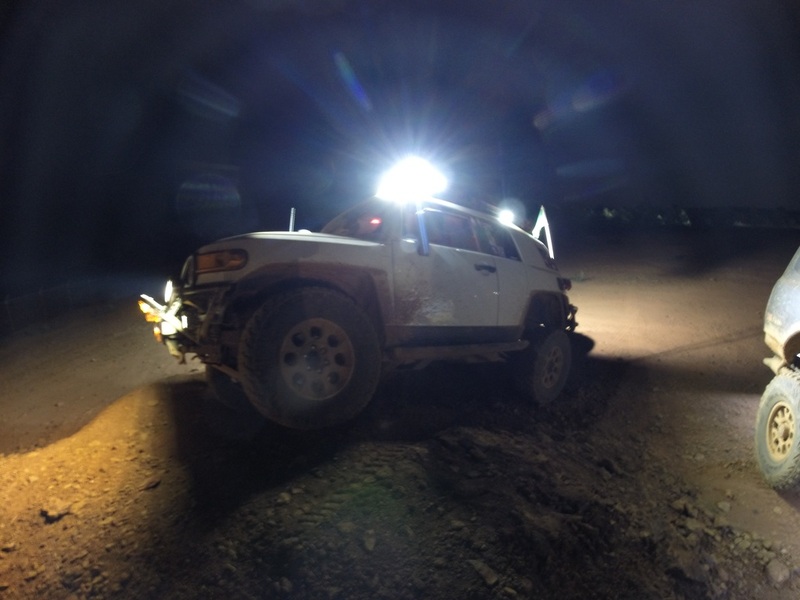 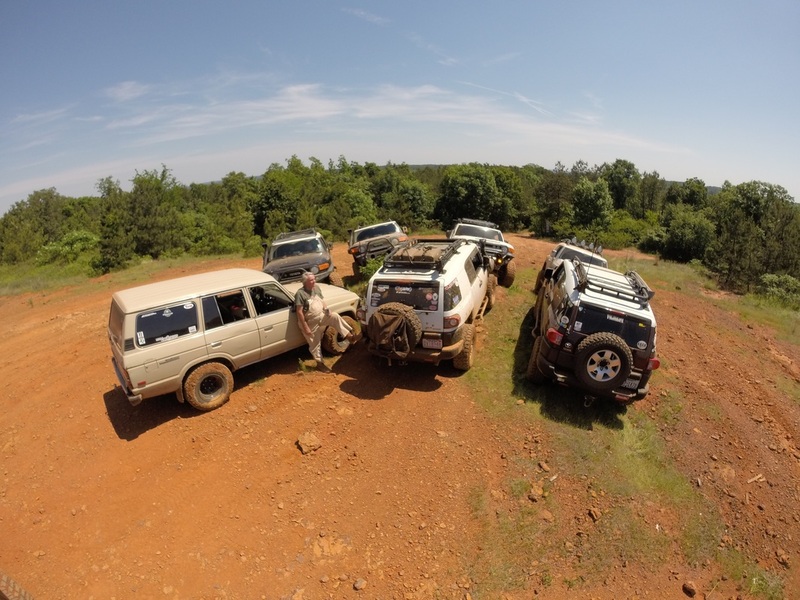 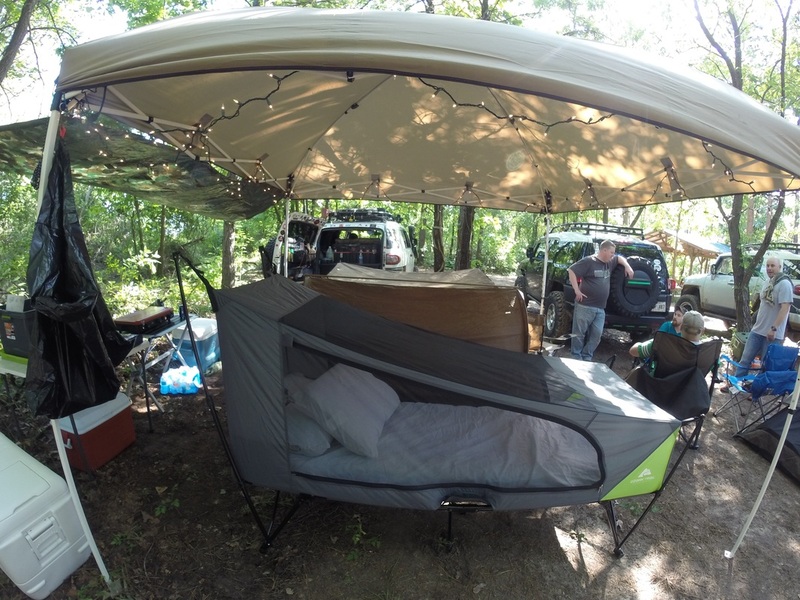 This year the 10th annual Lone Star Toyota Jamboree was held from April 30th-May 3rd, 2015. 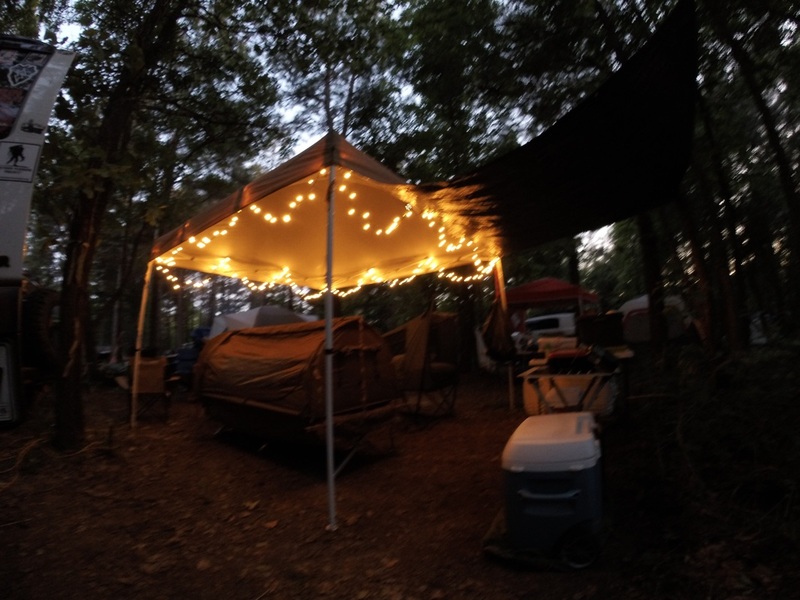 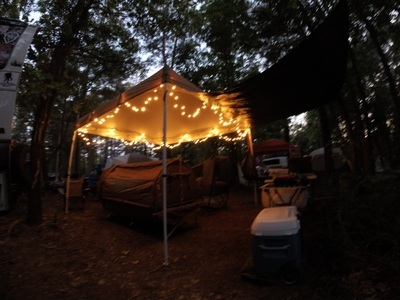 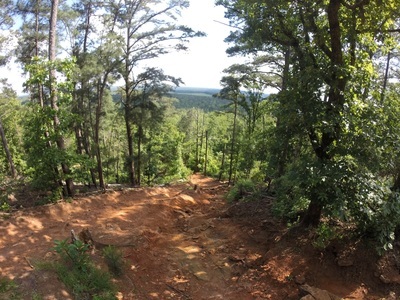 Jamboree (Jambo) is held at Barnwell Mountain Recreational Area (BMRA) in Gilmer, TX. 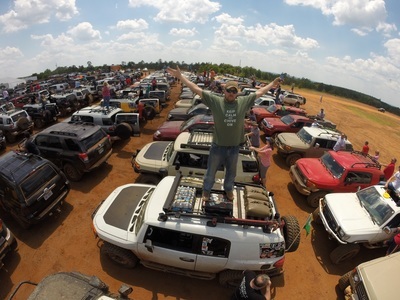 This was my first Jambo I attended and it was a blast. The group that I went with met up bright and early Thursday morning. So early in fact, we had to anxiously wait outside the gates of BMRA. Side note, I now know what Bieber fans feel like. 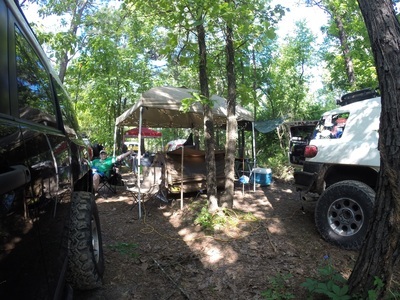 We were one of the 1st groups there on Thursday. They were kind enough to let us in early so we could set up at Rover Camp. After setting up our glorious "party compound", equipped with party lights and a strobe, we grabbed some lunch at a nearby Mexican restaurant. 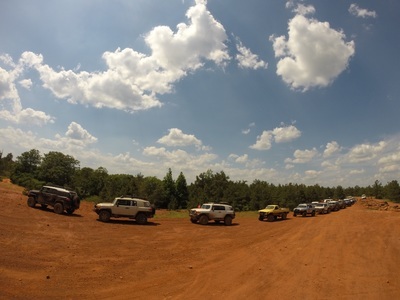 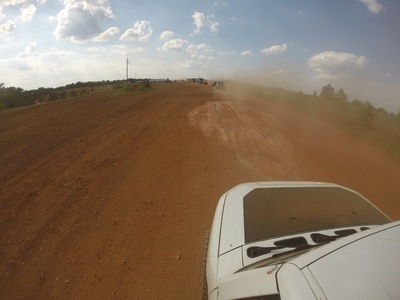 Once we came back to BMRA, I don't think we left the park again until the event was finished on Sunday. 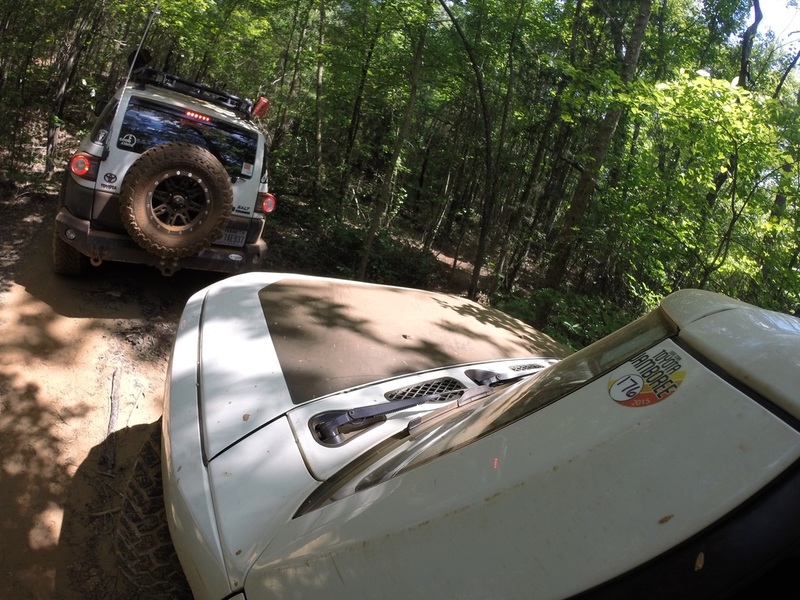 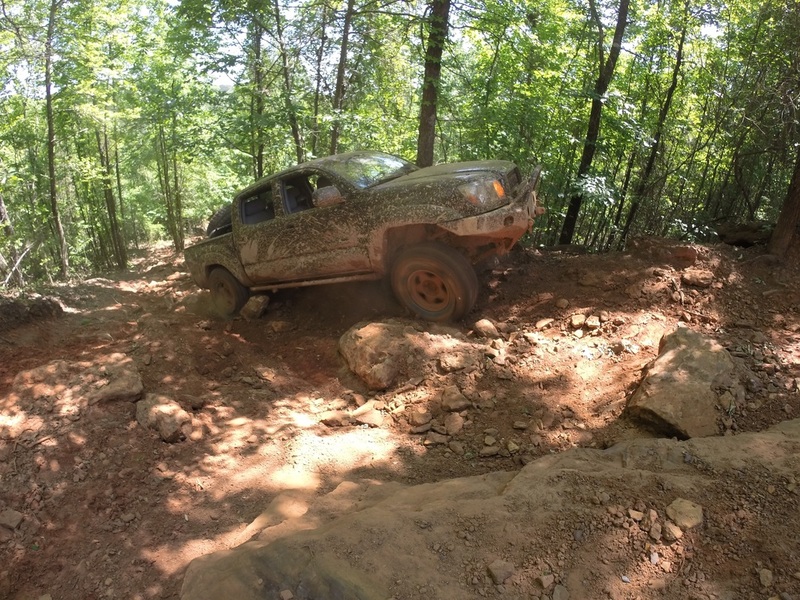 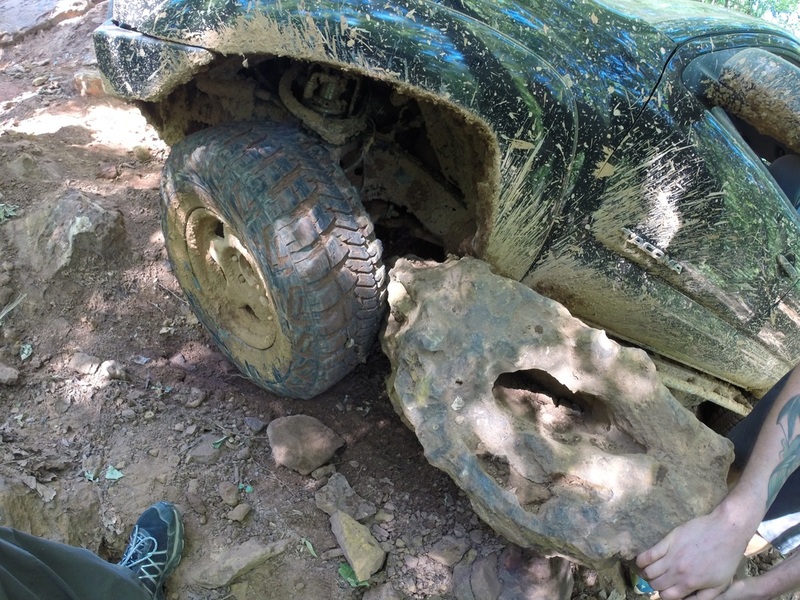 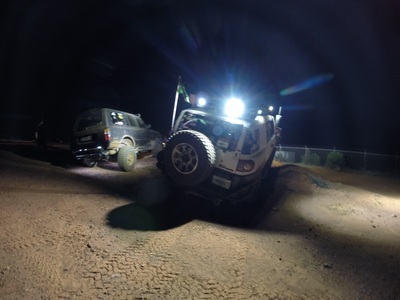 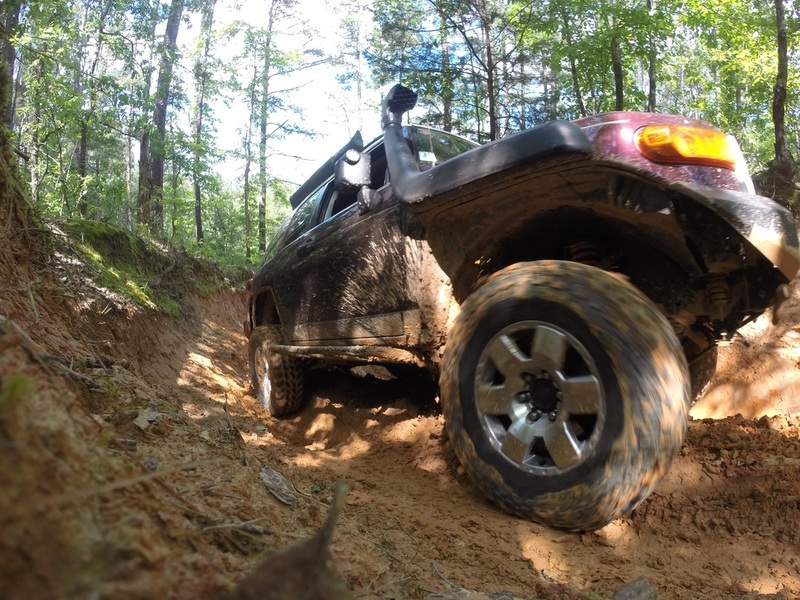 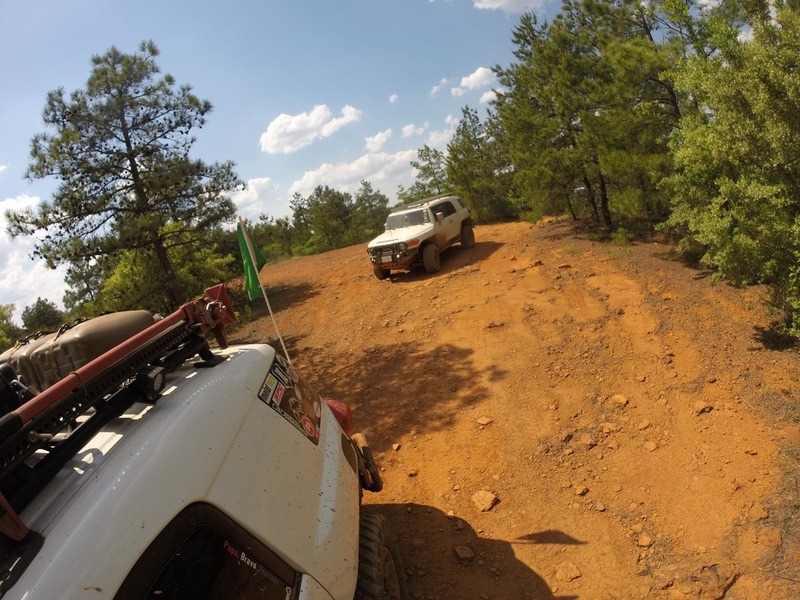 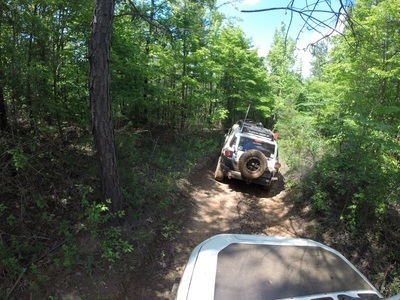 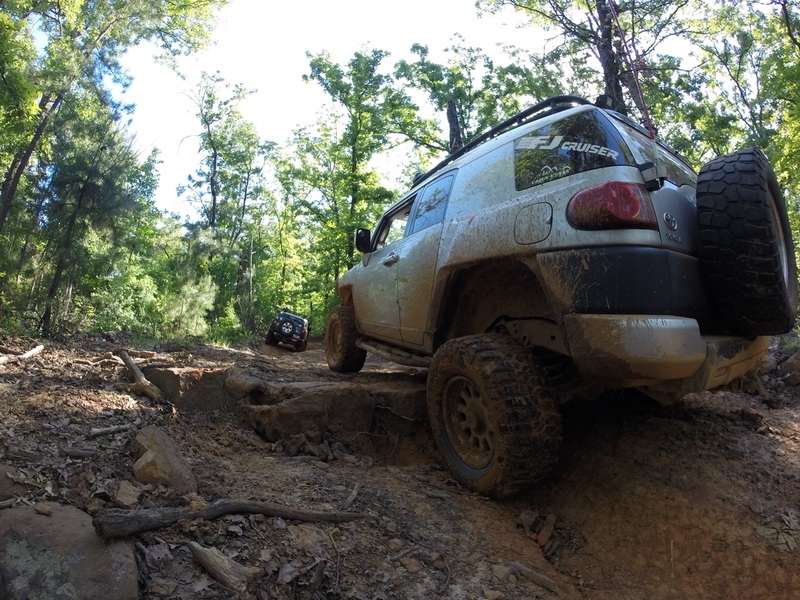 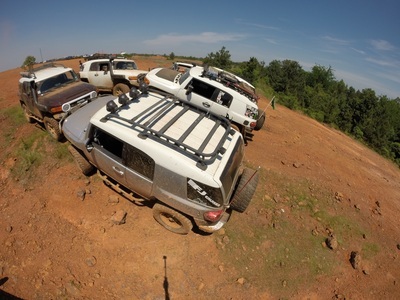 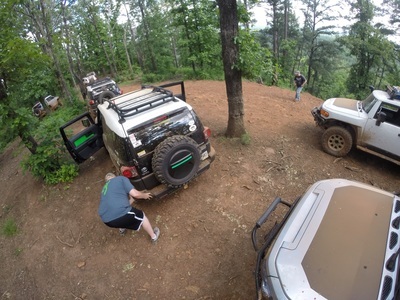 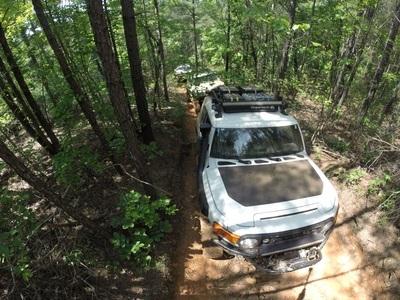 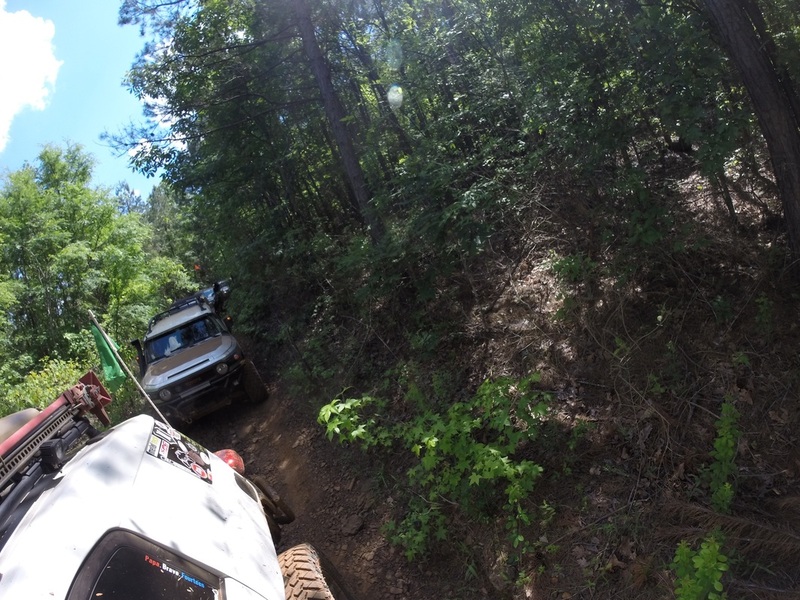 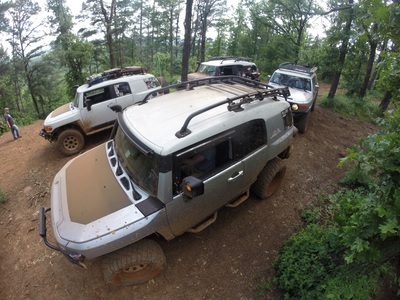 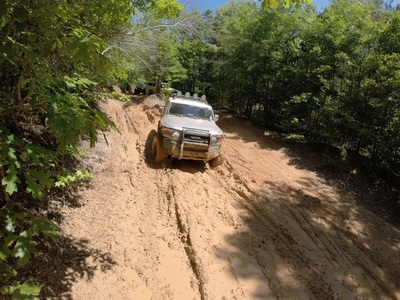 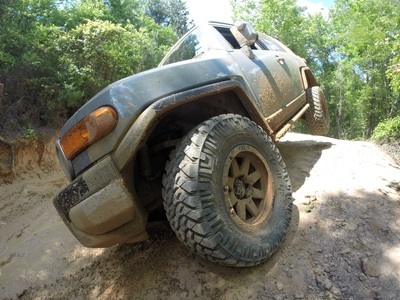 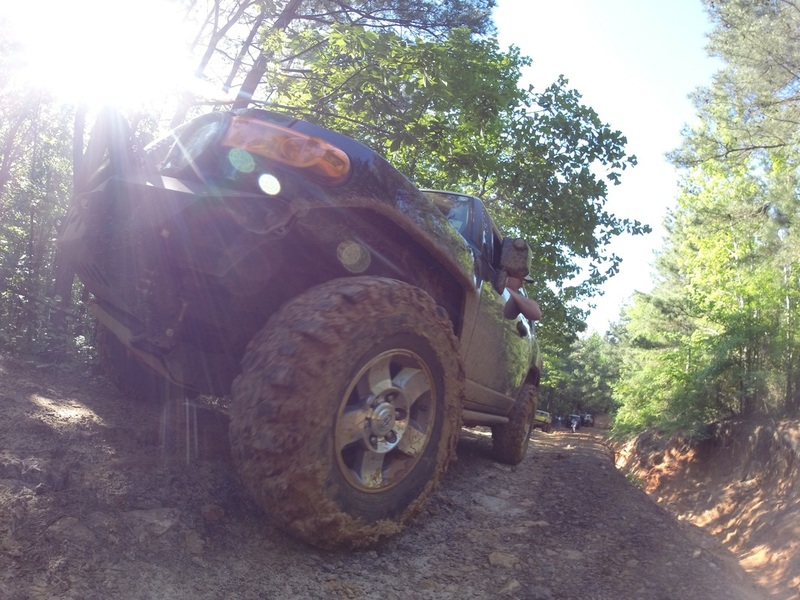 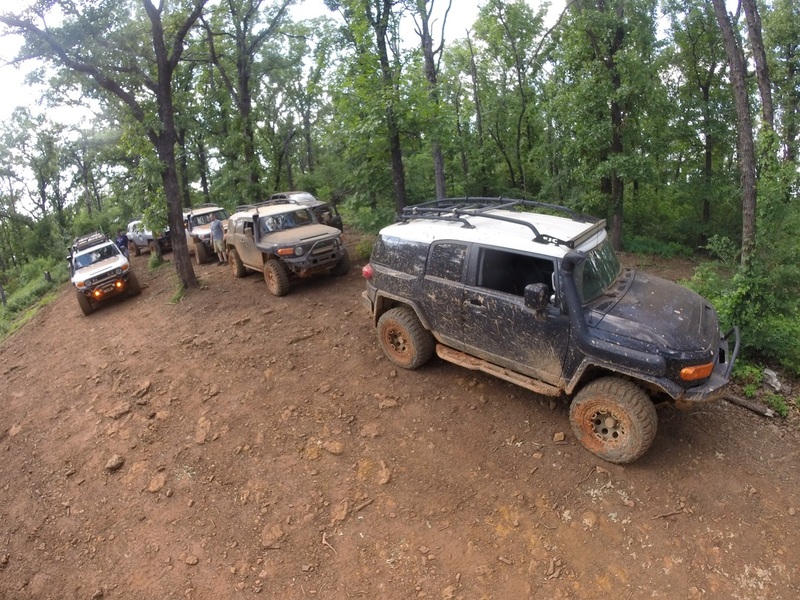 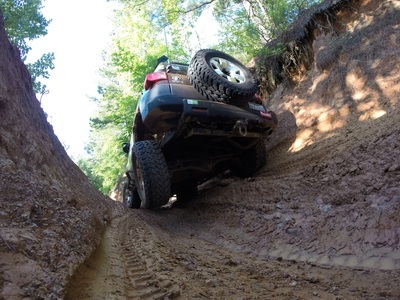 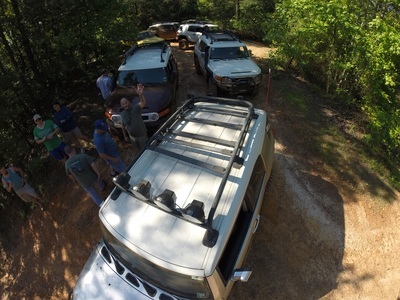 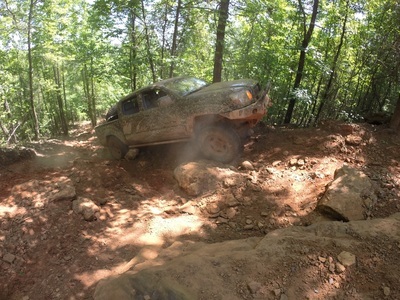 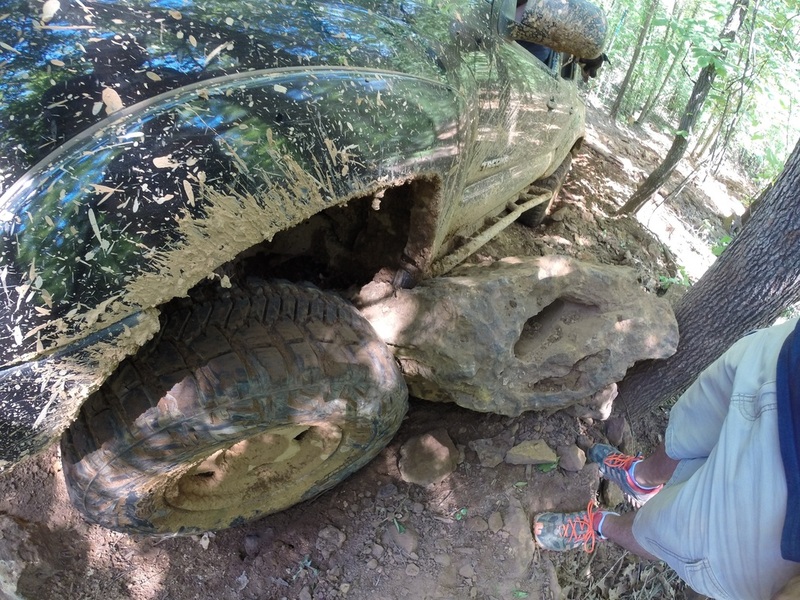 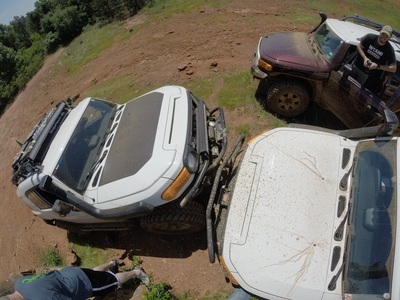 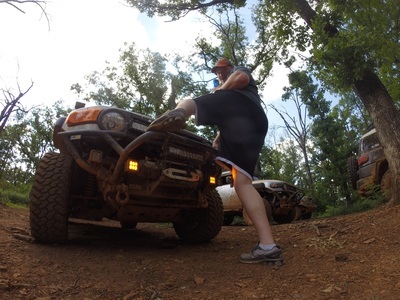 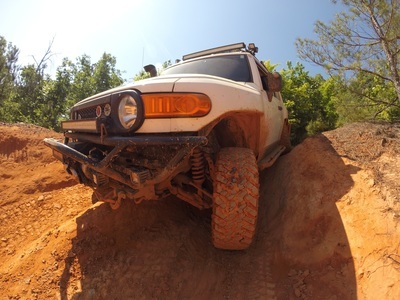 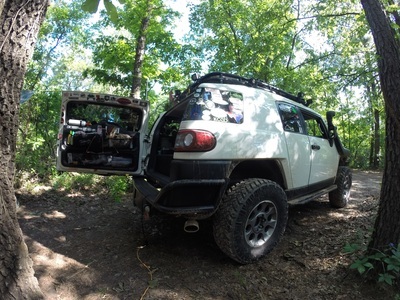 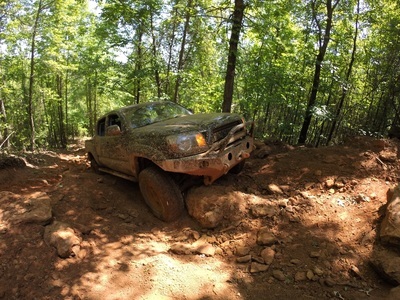 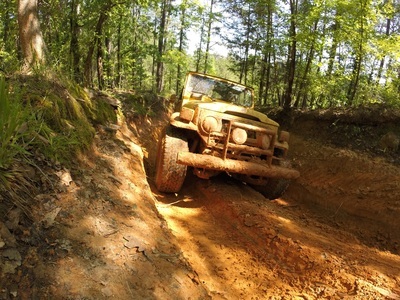 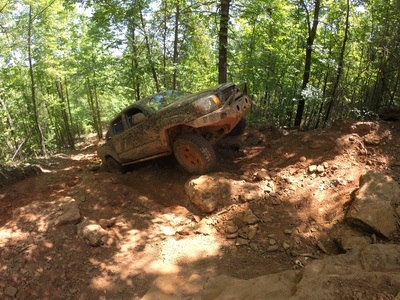 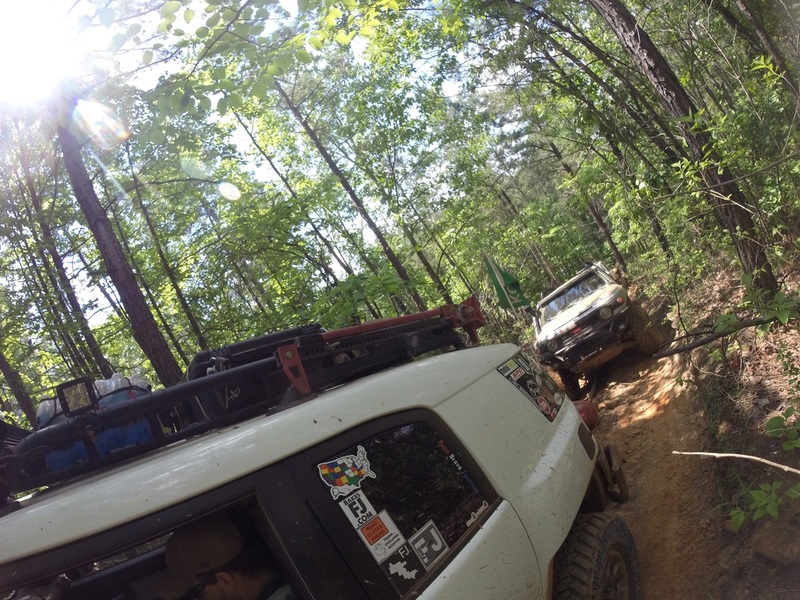 We had so much fun wheeling and running the trails with groups of all sizes. 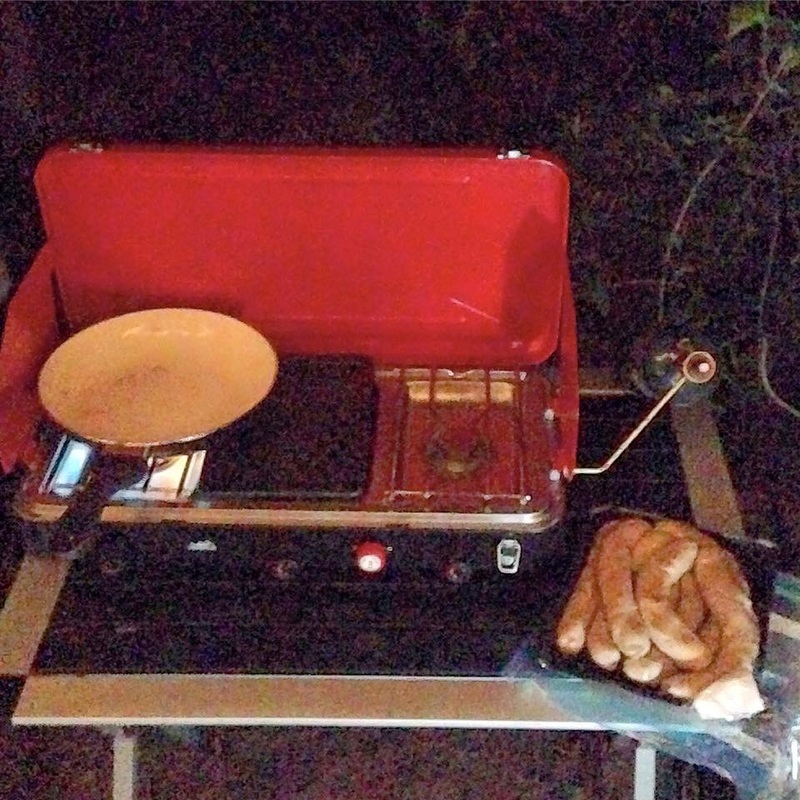 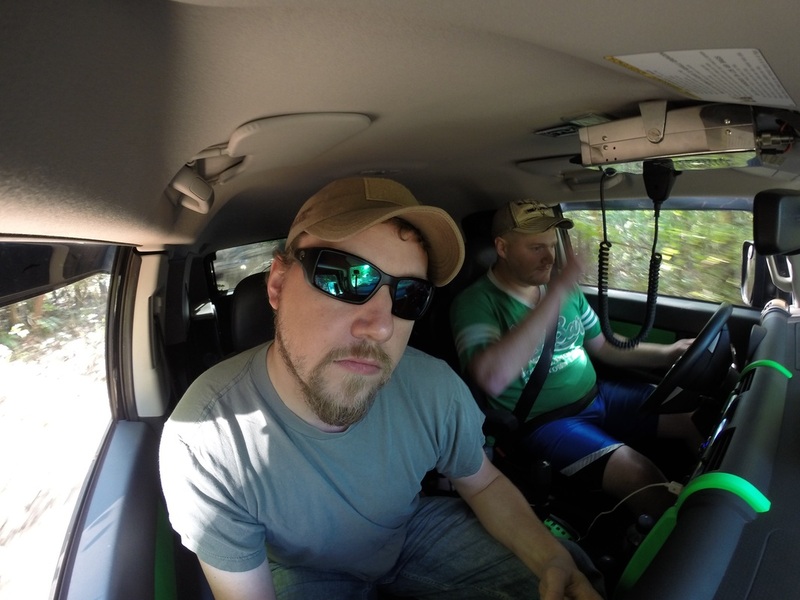 As always, we had a blast camping. 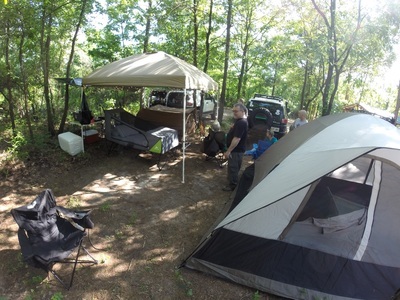 We were very fortunate to have so many people come visit and hang out with us at our camp site. 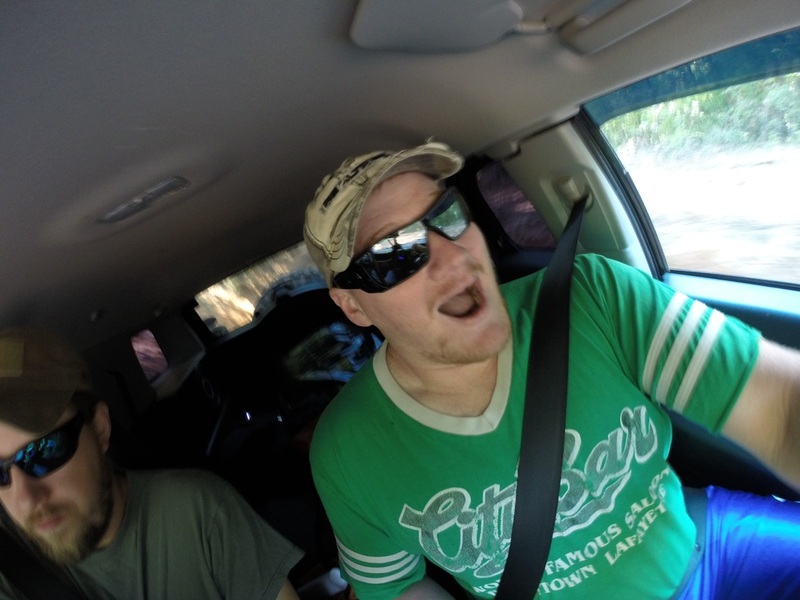 So many laughs were had. Some laughs at stories told, some laughs at jokes and a lot of laughs at people falling over due to Fireball. If I'm not mistaking, we drank all of the Fireball at Jambo. If you don't know what FireBall is, I'll quickly explain. 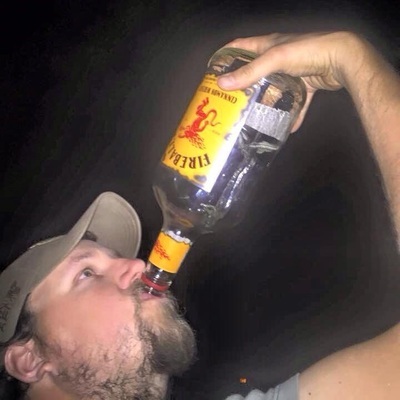 FireBall is adult liquid candy. 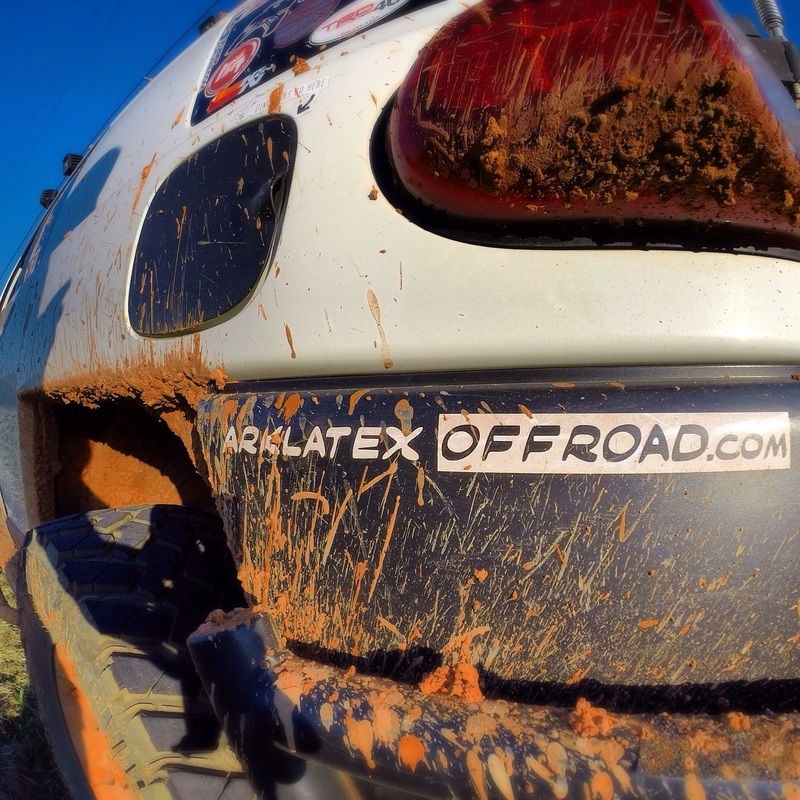 Now go buy some! 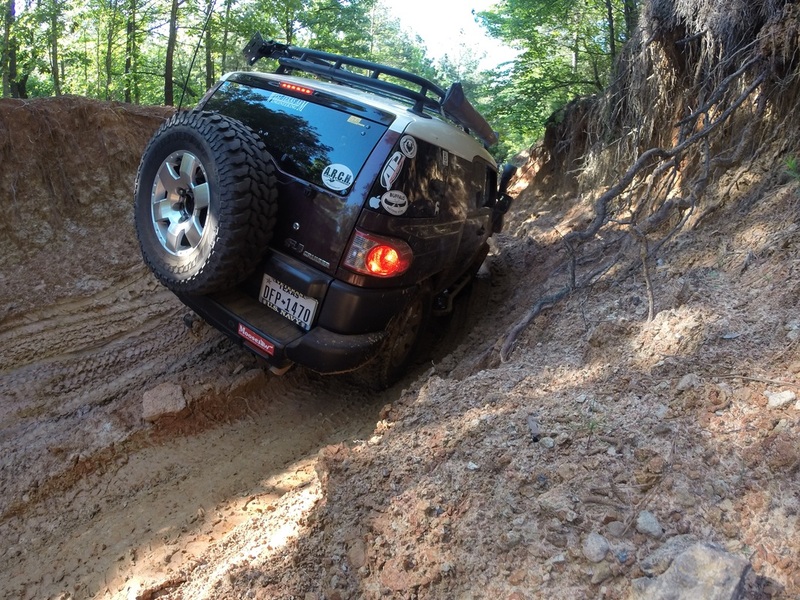 I had the privilege of meeting and wheeling with so many new people and friends I had not seen in awhile. 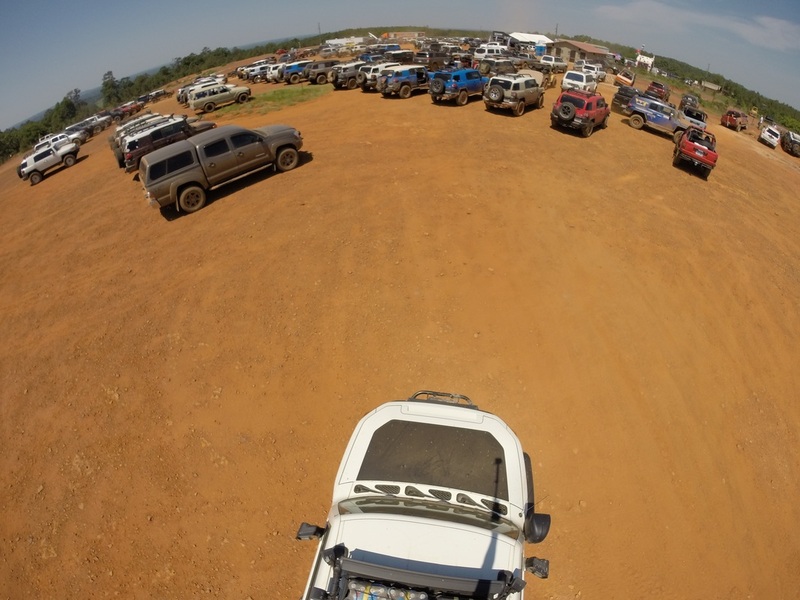 I also had the opportunity to meet a lot of vendors who were there who also helped sponcer the event. 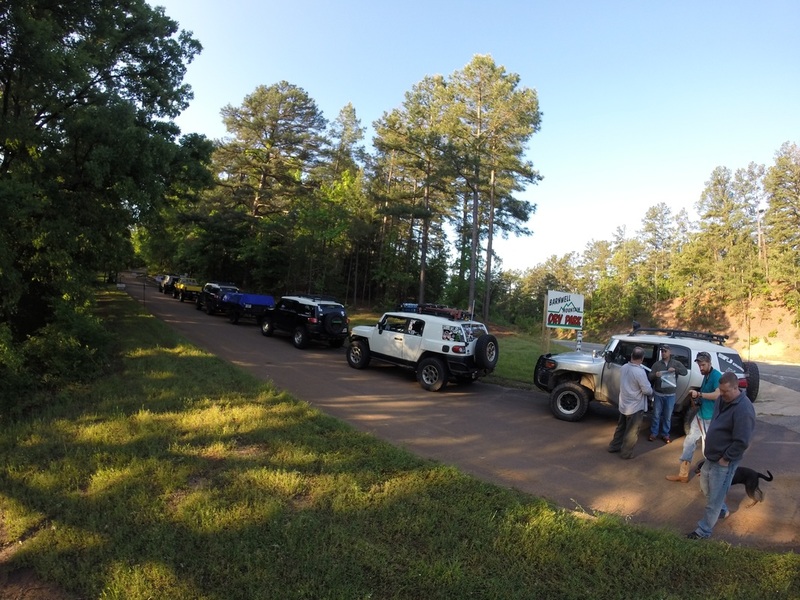 The staff did an amazing job at coordinating everything and insuring people had a great time. 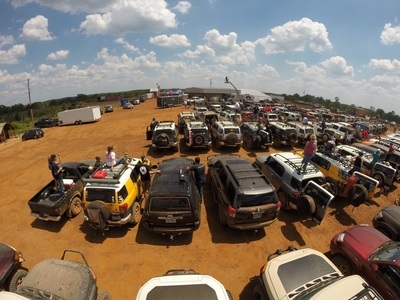 The food was very good, the prizes we spectacular and the amount of people that drove in from all over the U.S. was absolutely amazing. A big thanks to everyone that had a hand in putting this event together. 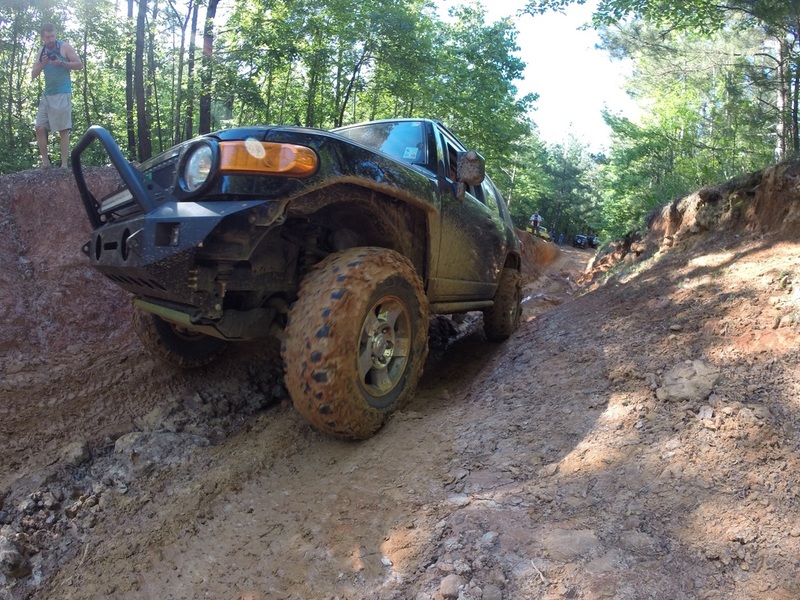 I look forward to doing it again in 2016! One of the highlights for me at Jambo was meeting Ivan "Ironman" Stewart. Ivan was a guest speaker at the event. 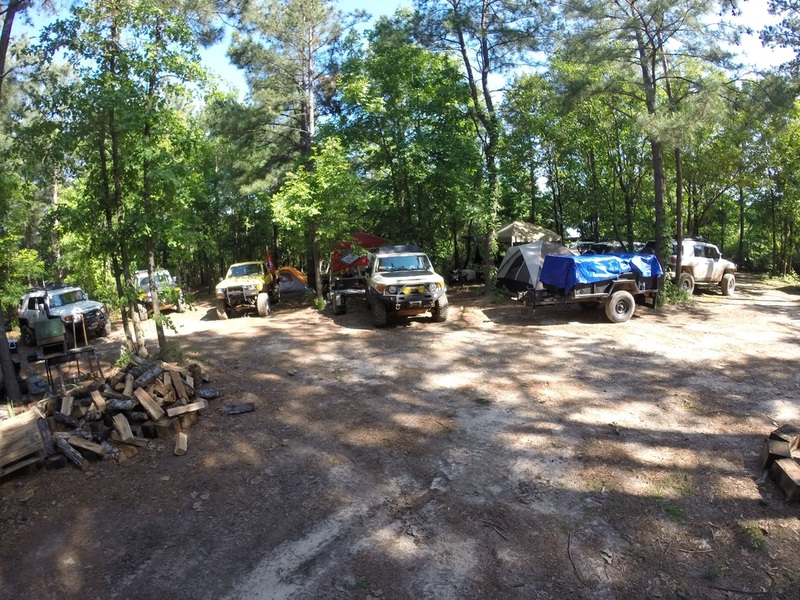 It was so cool hearing his stories. 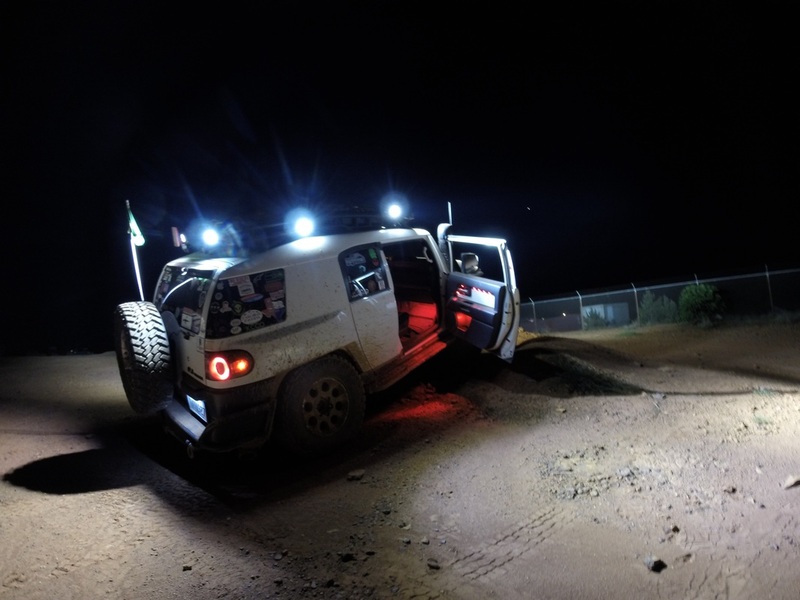 He talked about situations, successes and failures throughout his racing career and humbly answered one of the most challenging questions asked..."where do you use the bathroom when you're racing in the Baja 1000?" 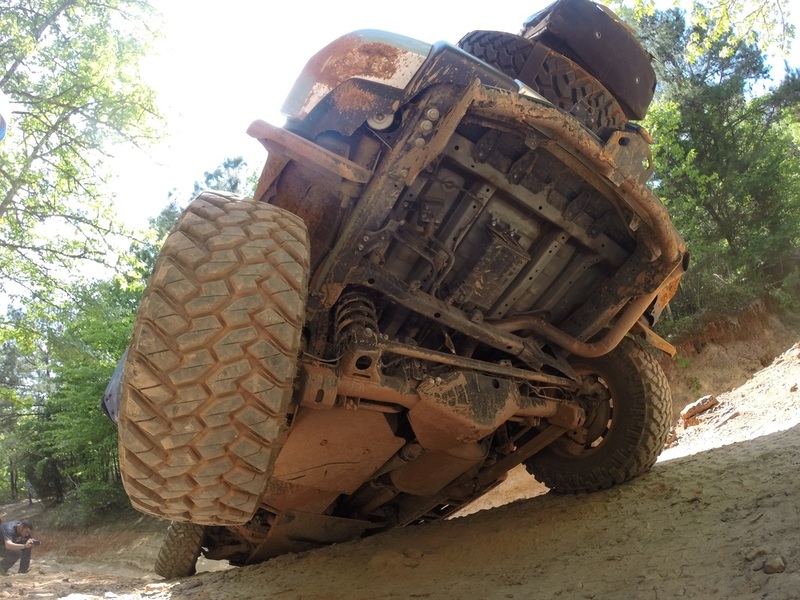 I'll let you use your imagination to figure that out, but as one of the social media icons of our generation once said, "ain't nobody got time for that!". 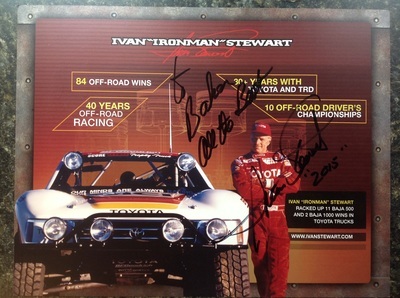 I did not realize how influential Ivan has been in so many other peoples careers. He is a very down to earth and a very approachable person. 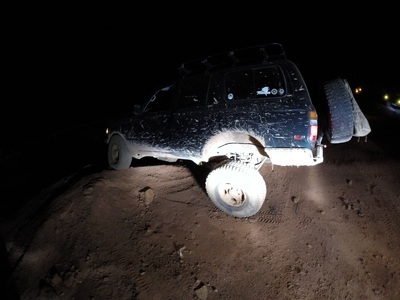 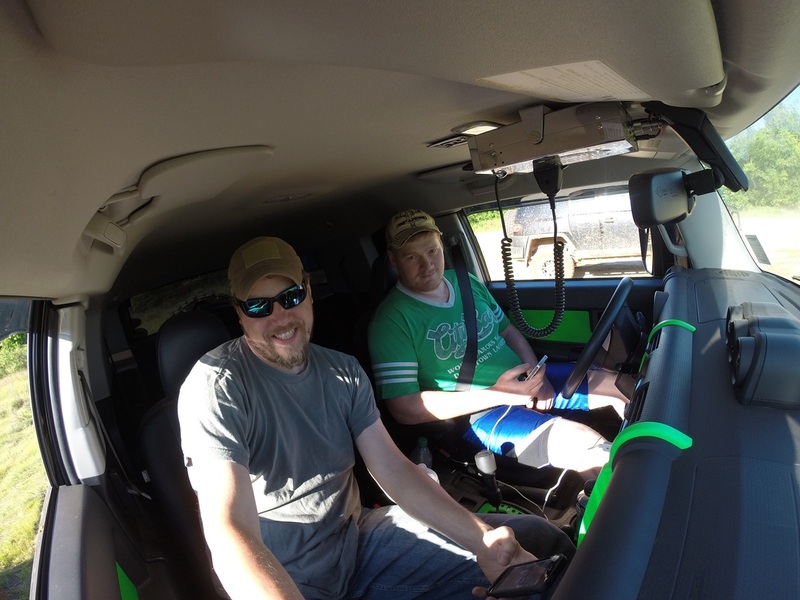 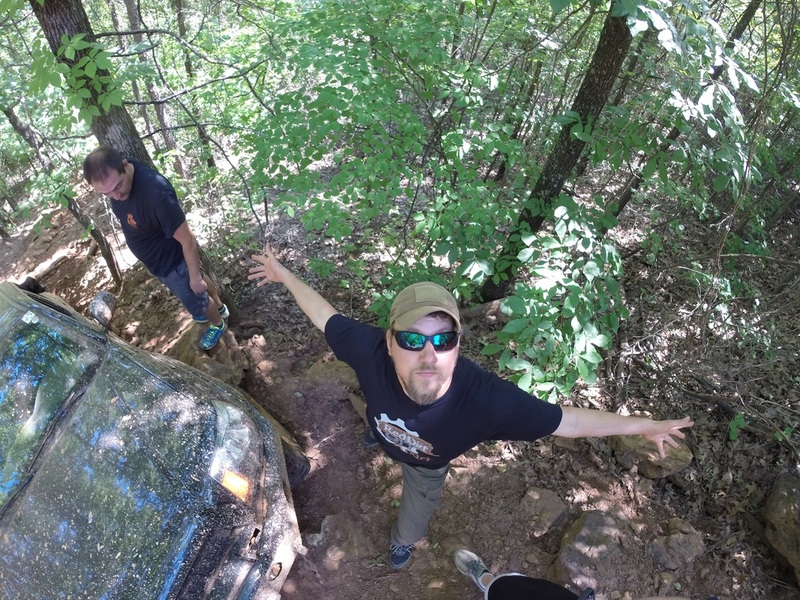 Even though my time with him was brief, it is evident how passionate he is about the off-roading community and how much desire he has to see it continue to grow. It was also neat to see and hear him speak to other people, new and old to the off-roading world and how quickly he is to share his knowledge. 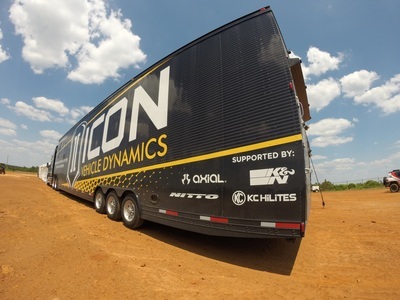 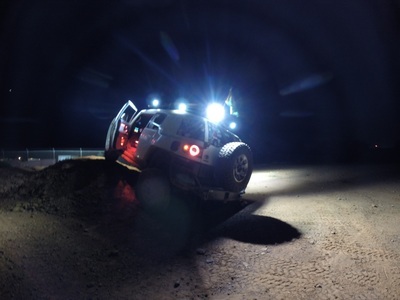 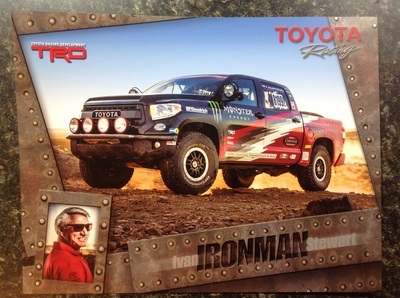 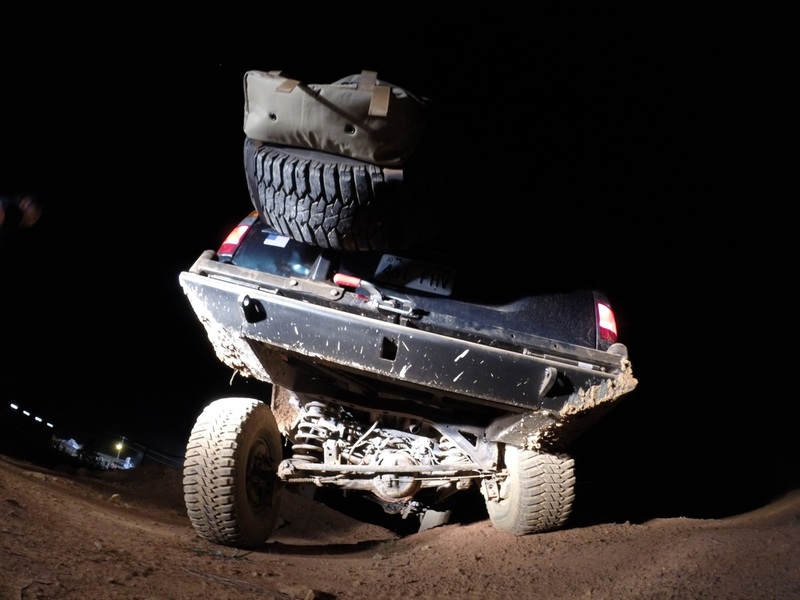 He truly is a legend in the off-roading and racing world and has bettered the off-roading community in so many ways. 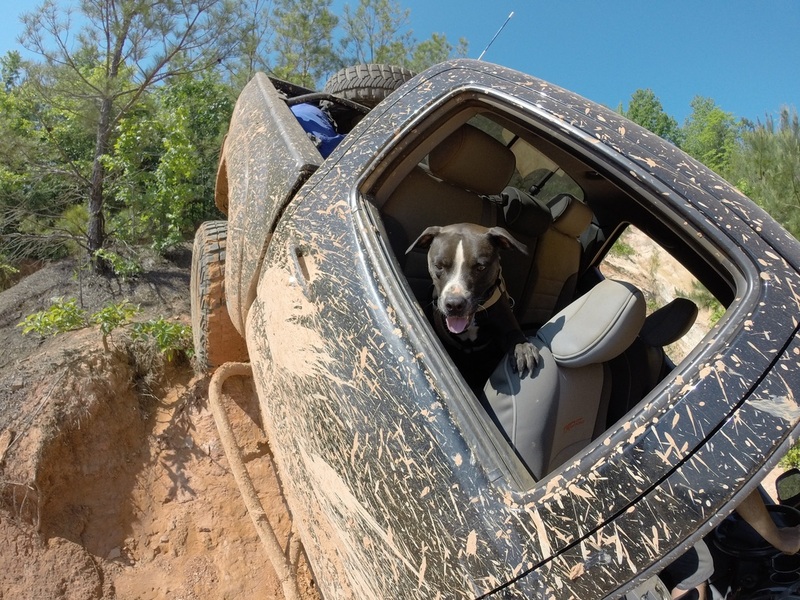 Ivan has lived and continues to live one hell of a life. 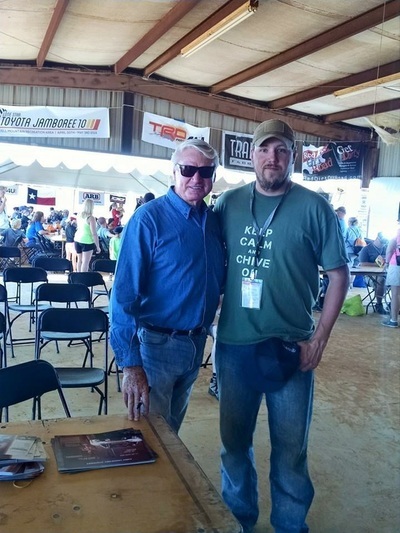 Thank you sir for making the trip to Jambo and thanks to the staff for making his appearances there a reality. 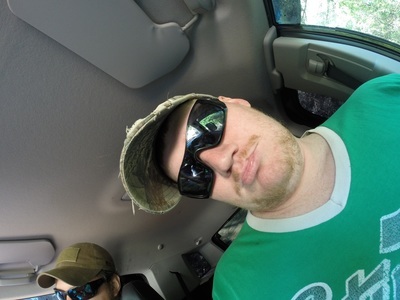 SWAG! The coordinators and staff of Jamboree did an exceptional job at making and marketing event products. 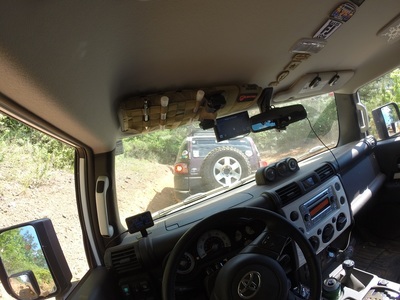 They designed several t-shirts, stickers and other things for people to have or purchase. 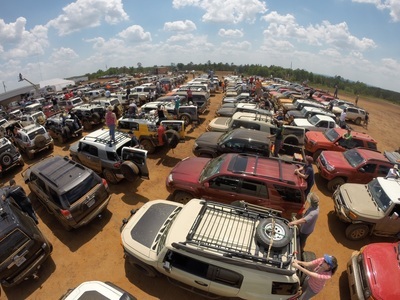 They also raffled off the large Jamboree sign on the last night of the event. For those that don't know, I freaking love stickers. 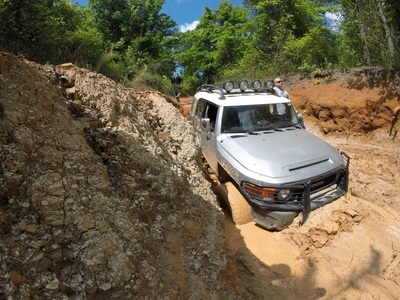 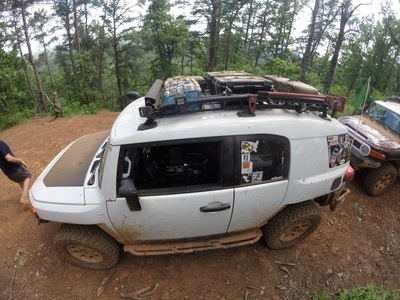 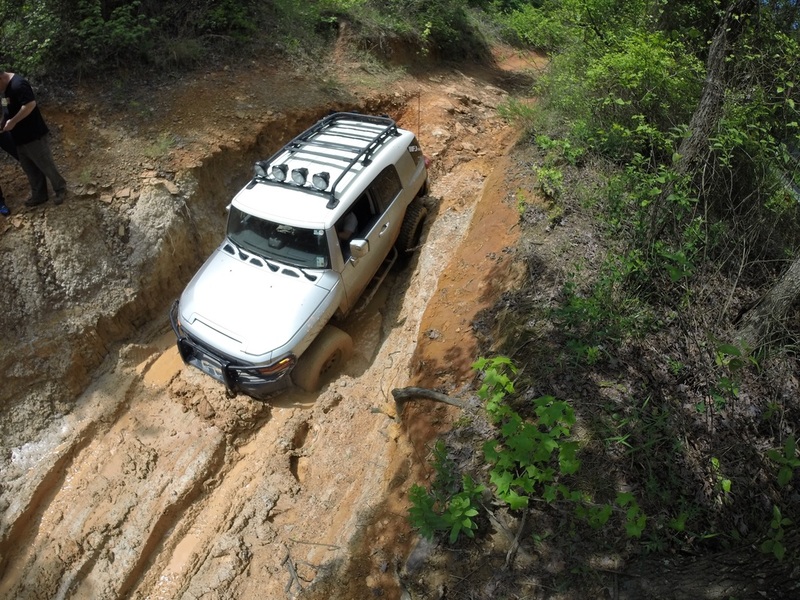 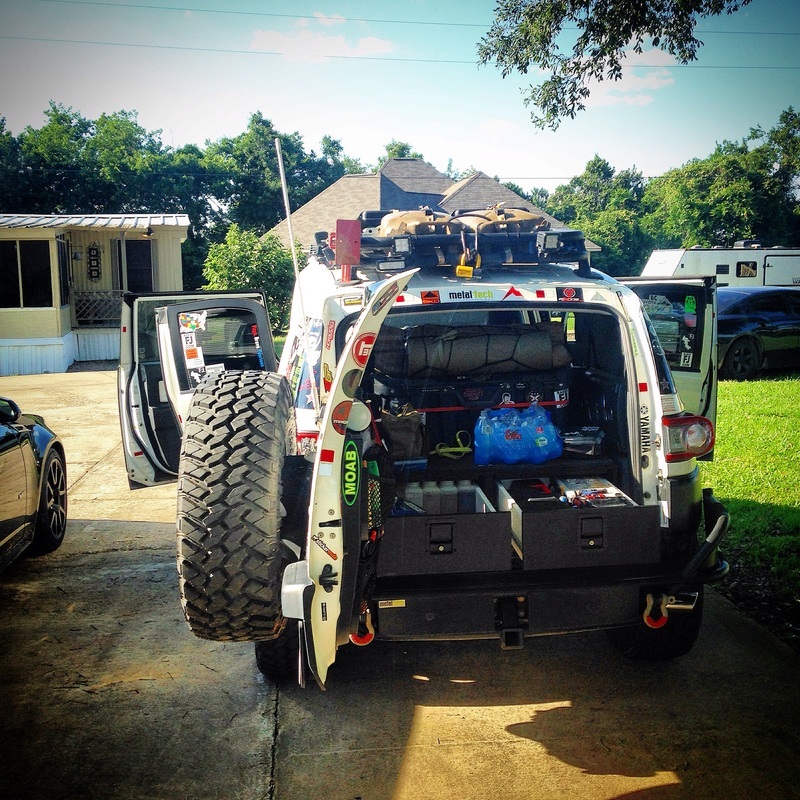 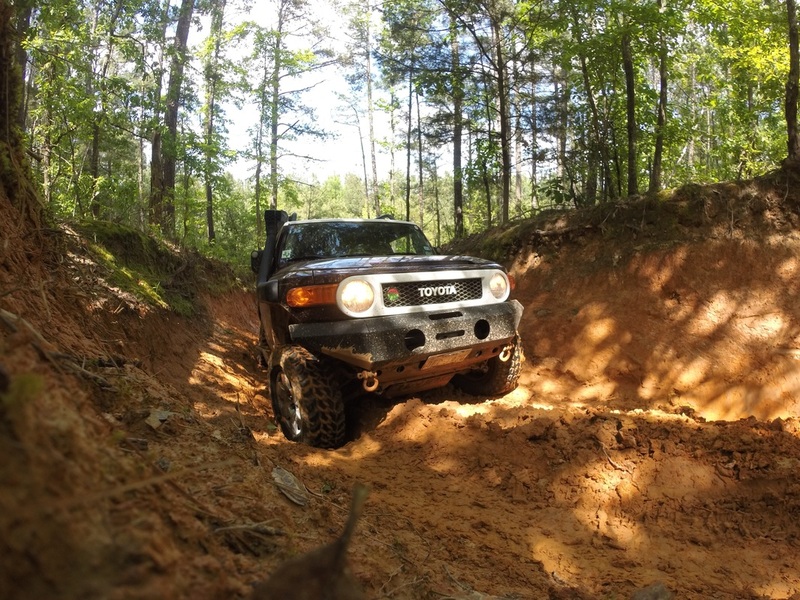 I enjoy showing off the places I've been or products I'm running on my FJ. The same is true with t-shirts. This is why I appreciate the amount of thought, creativity and work that goes into the designs. 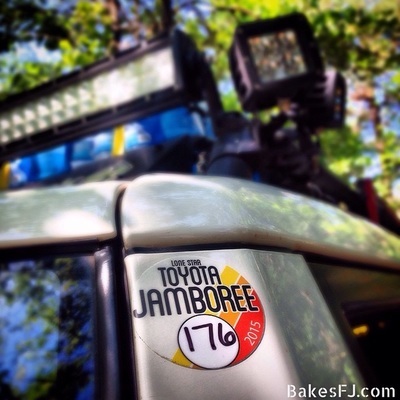 I proudly display all of my Jamboree SWAG and I thank those people that worked diligently to make that happen. 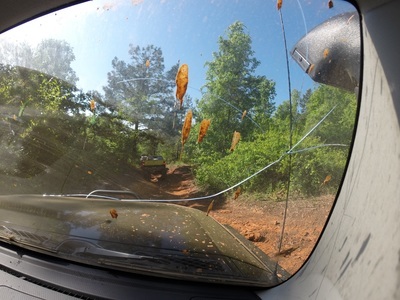 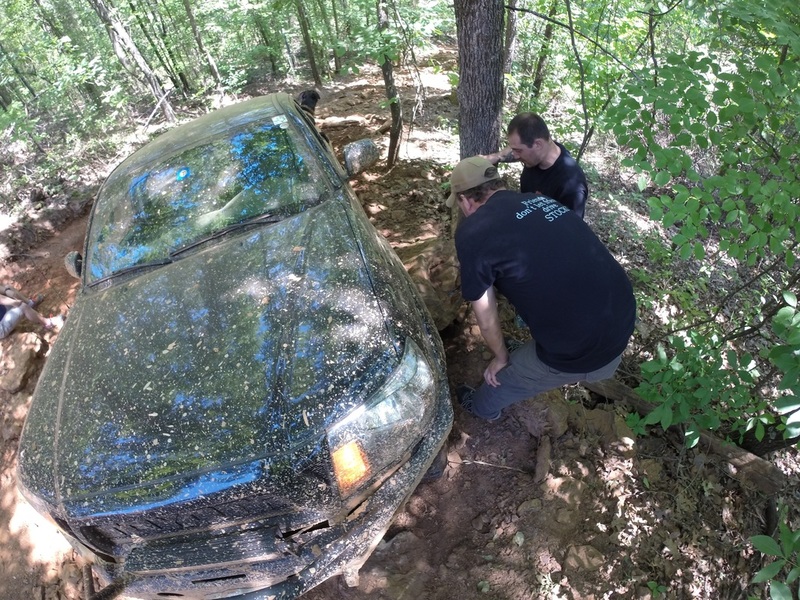 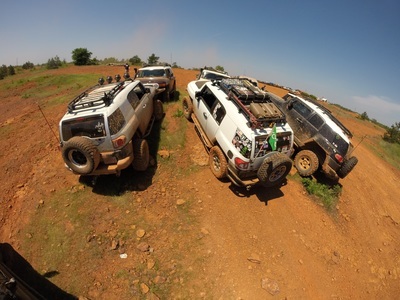 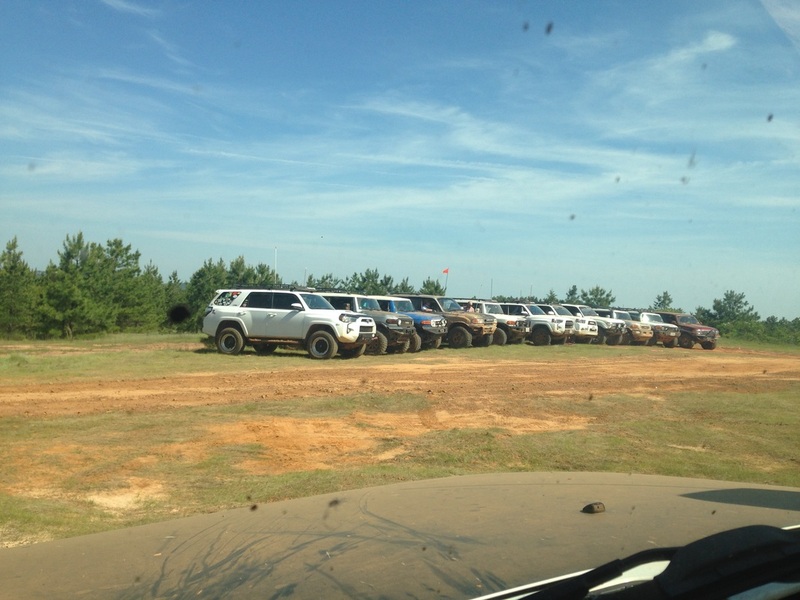 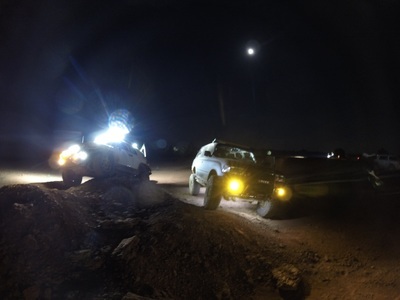 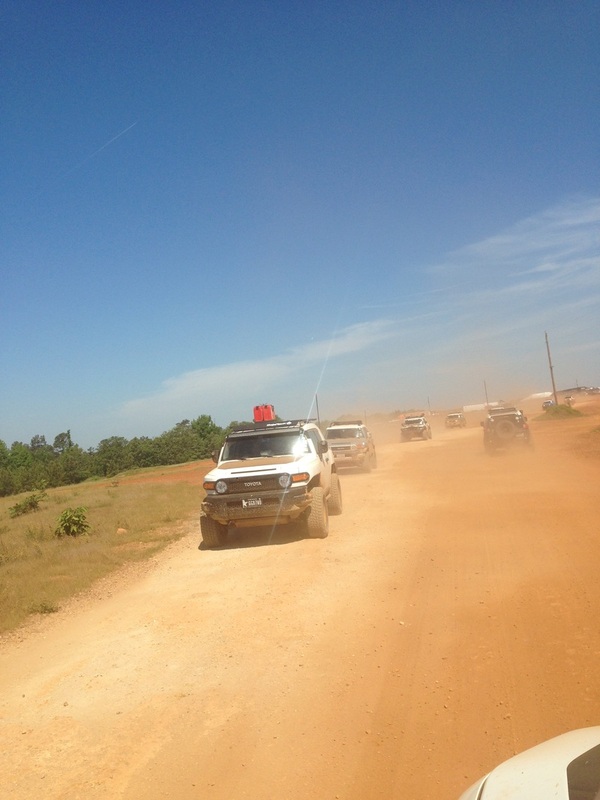 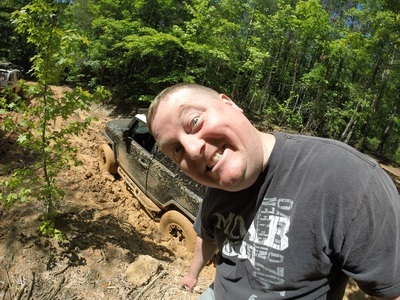 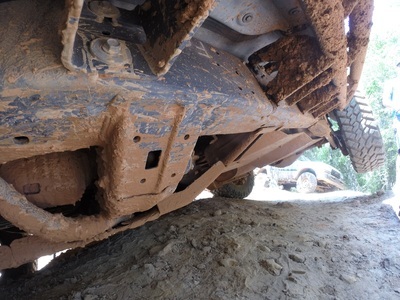 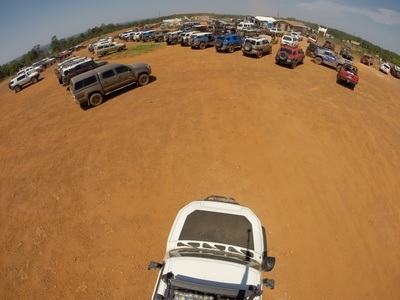 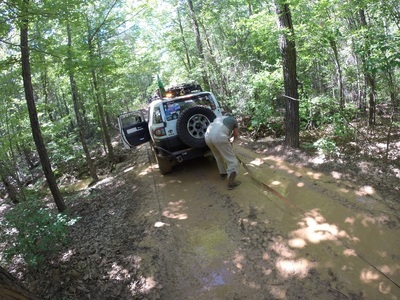 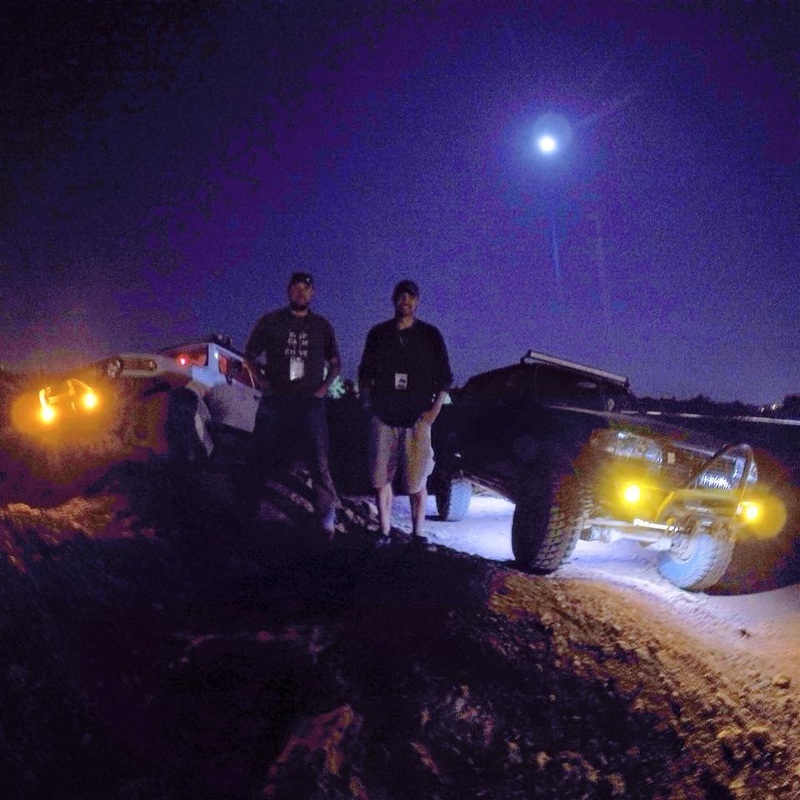 Jamboree was also a special occasion for myself and the other members of ArkLaTex OffRoad. 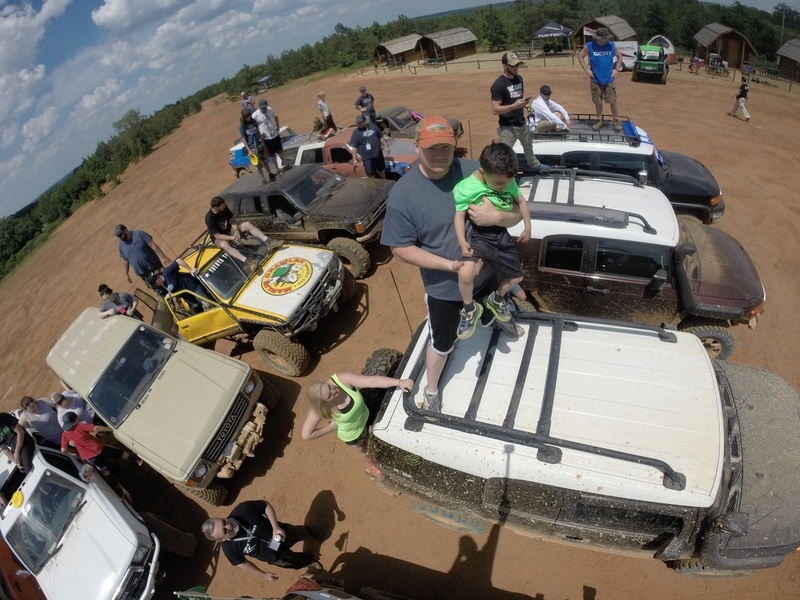 This was our clubs 1st event together and we could not have asked for a better way to get the club off the ground. 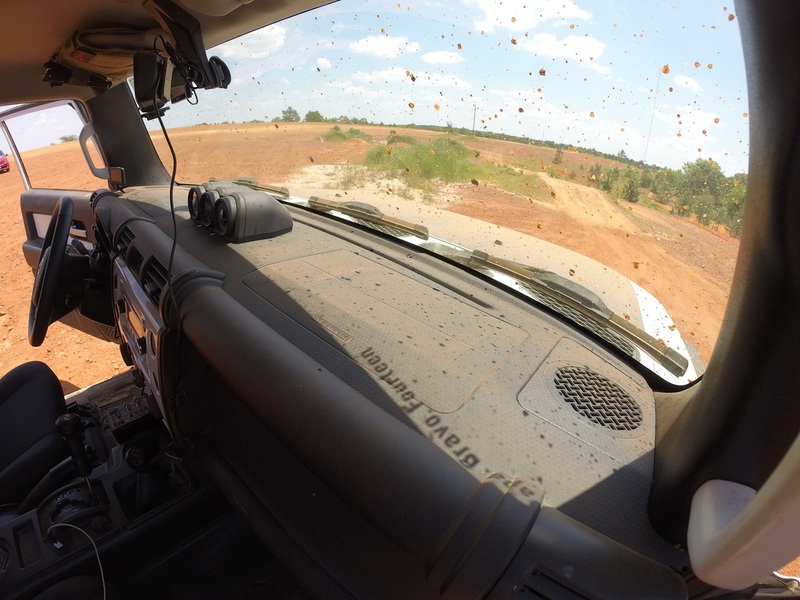 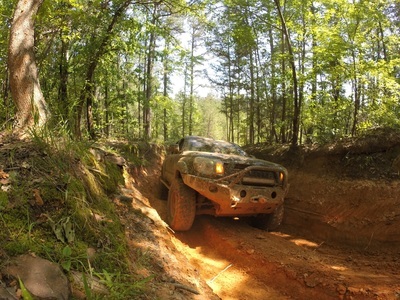 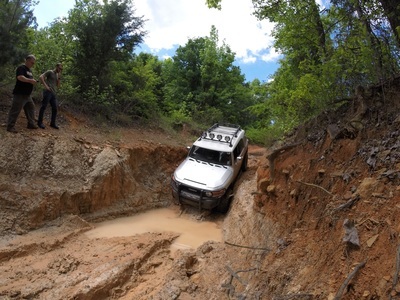 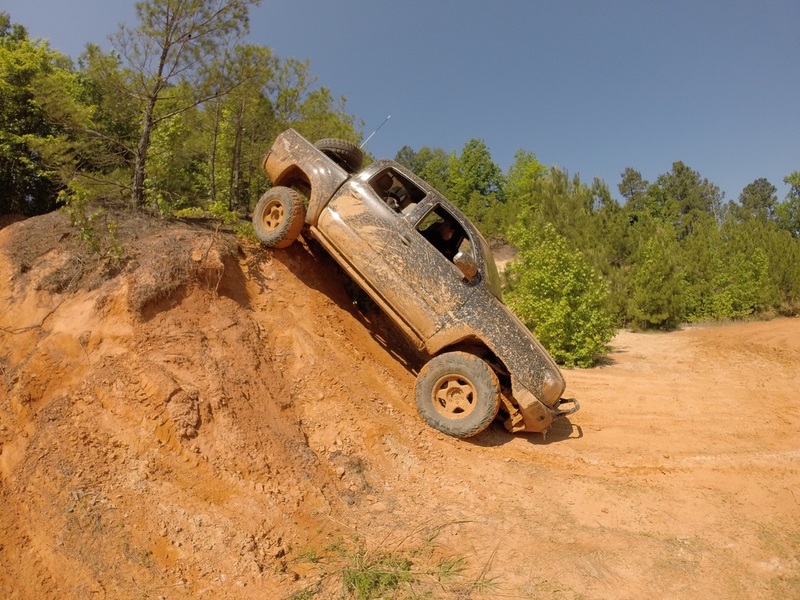 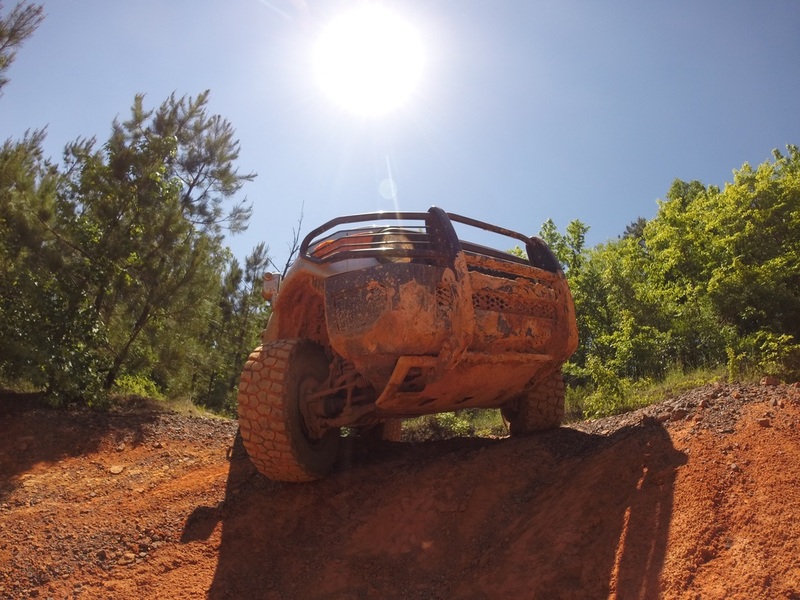 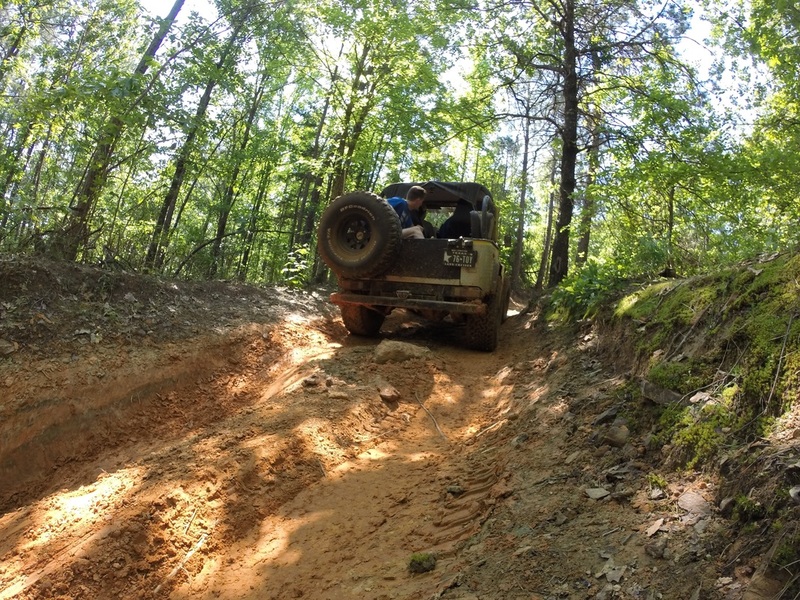 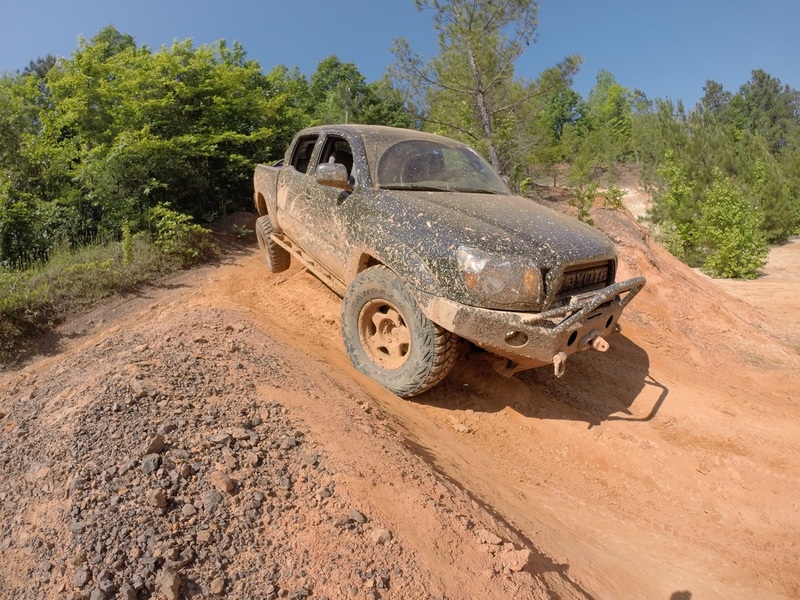 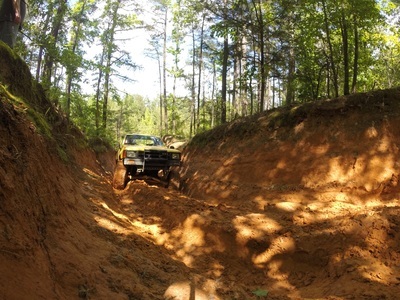 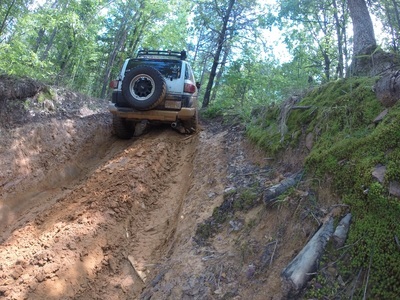 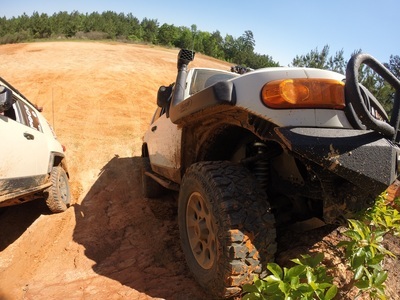 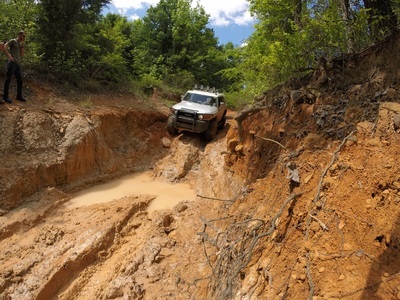 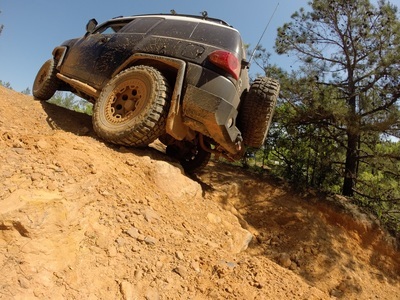 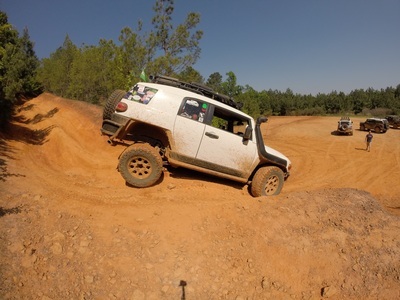 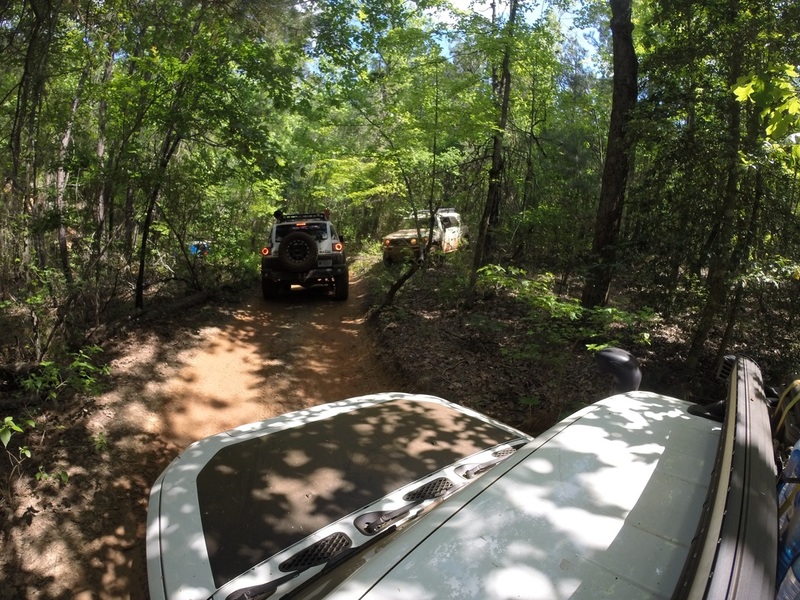 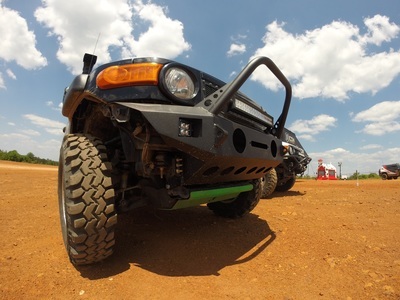 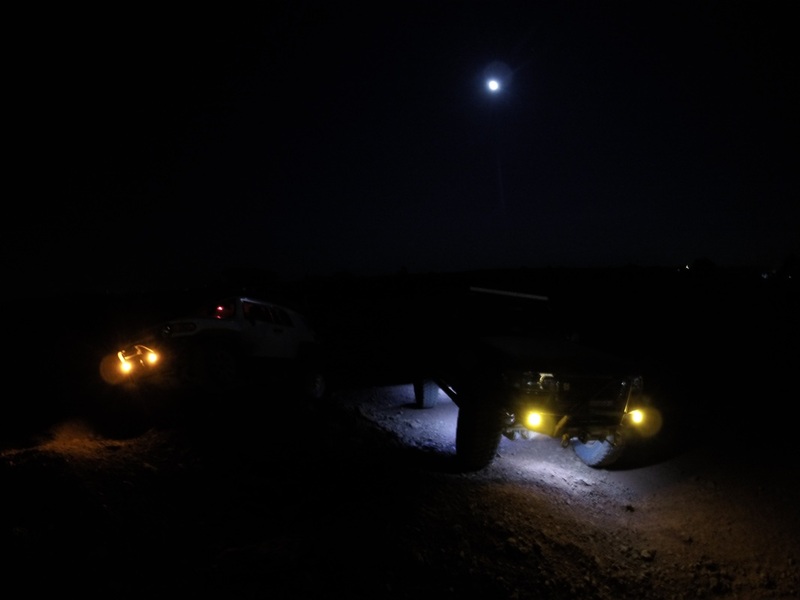 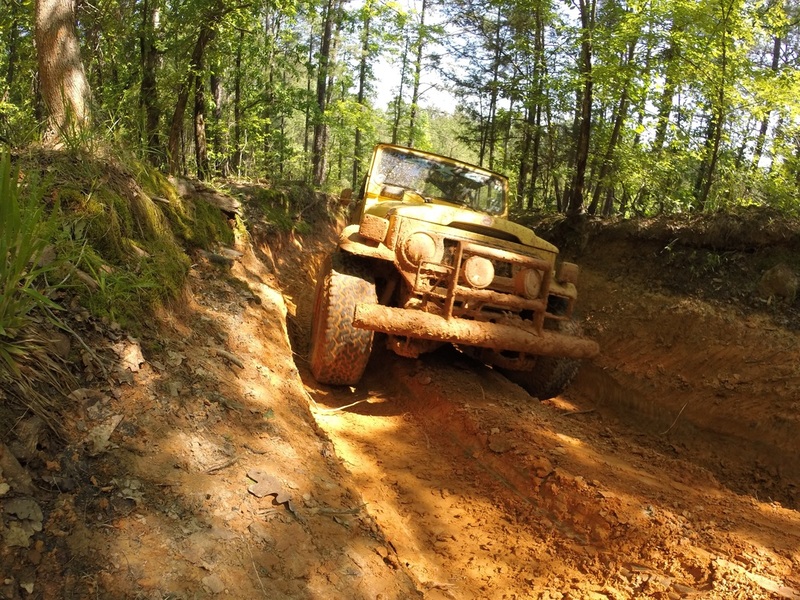 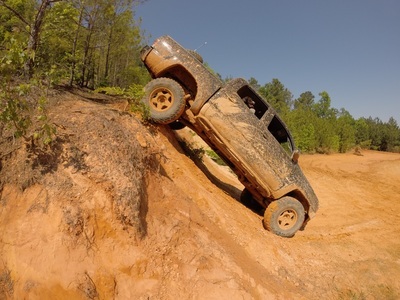 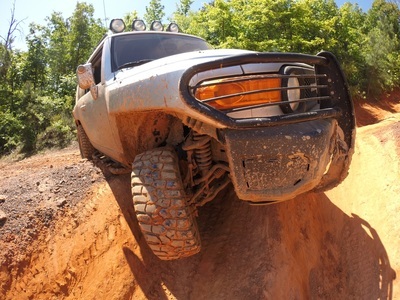 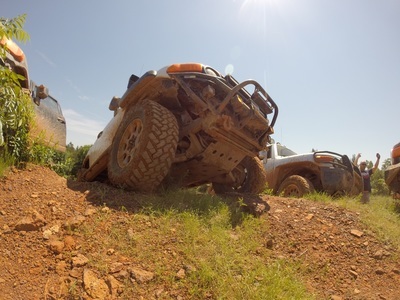 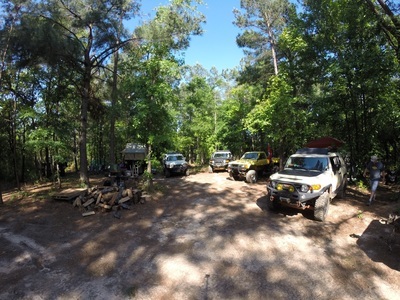 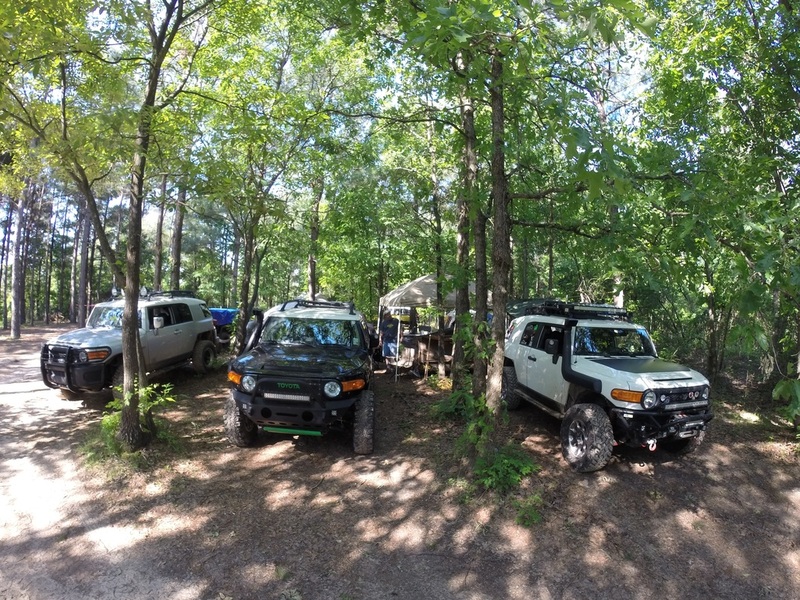 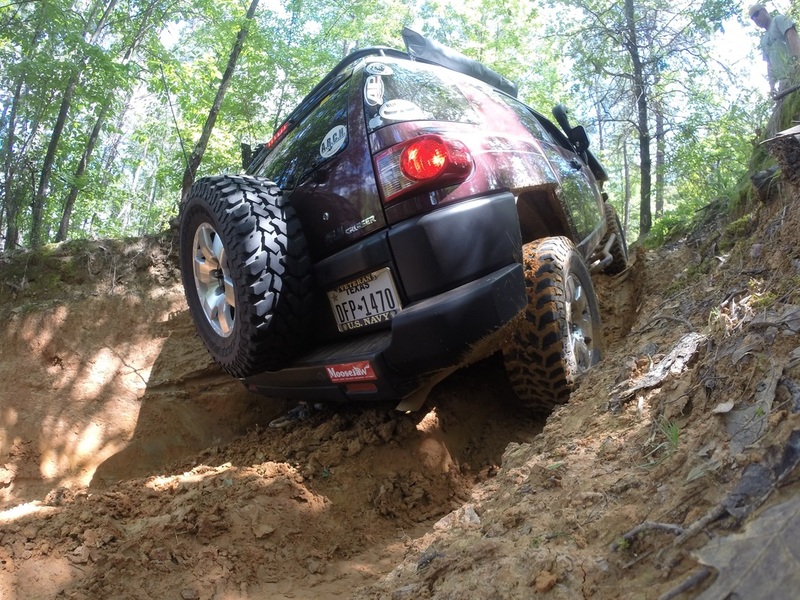 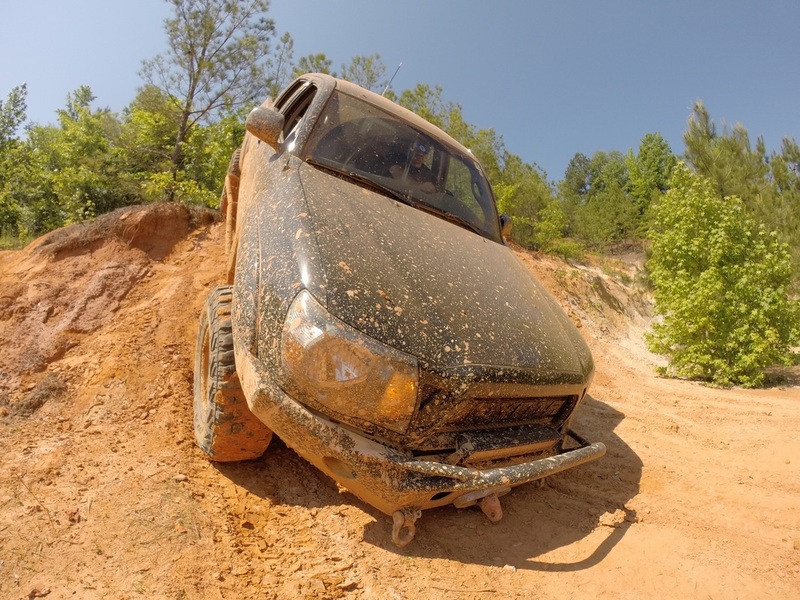 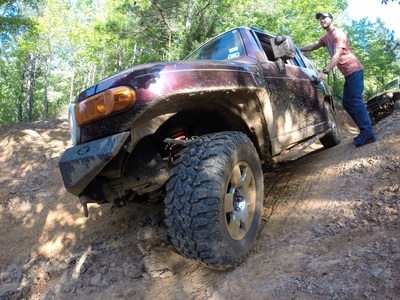 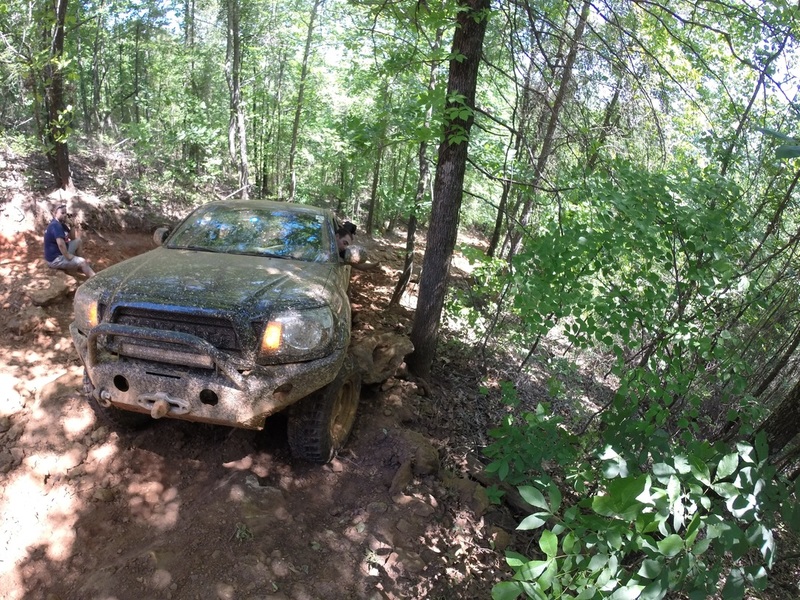 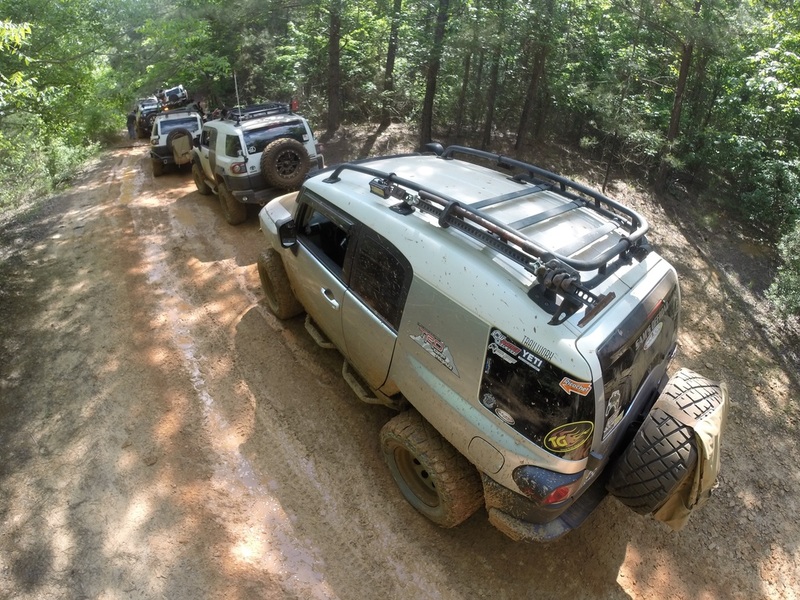 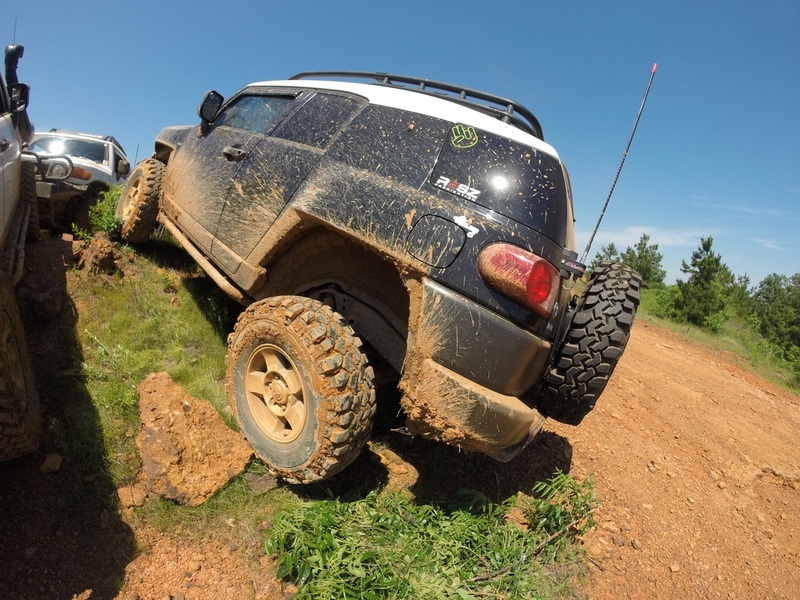 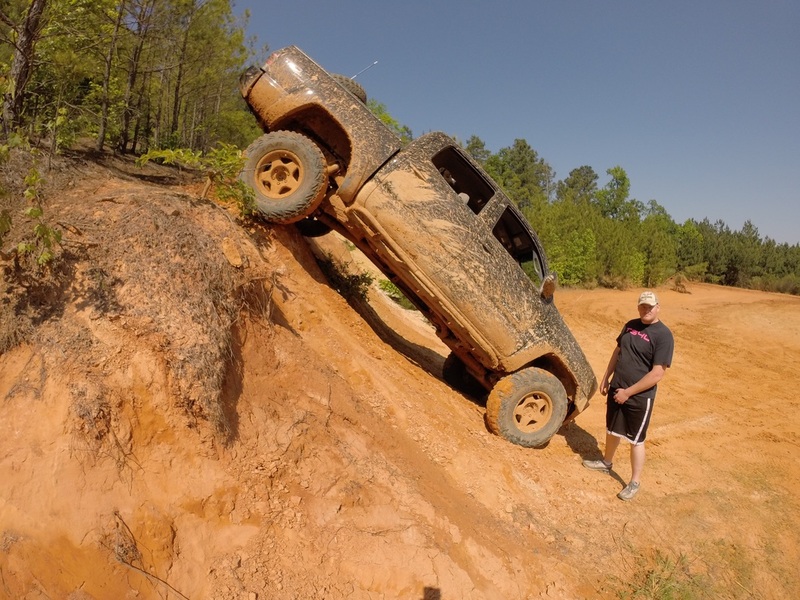 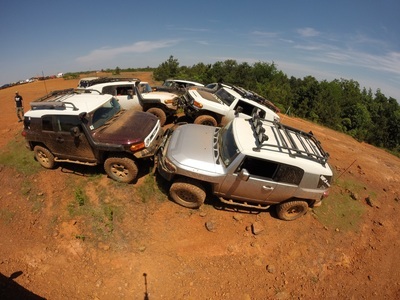 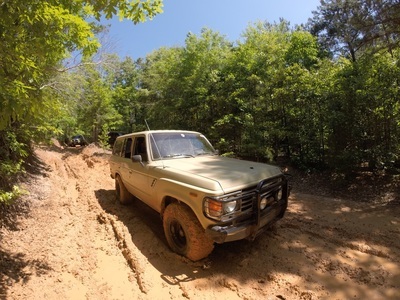 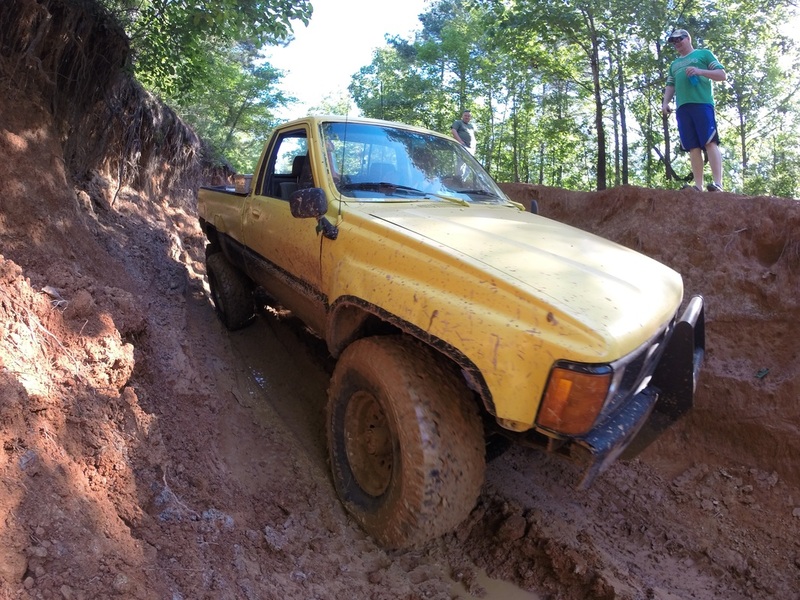 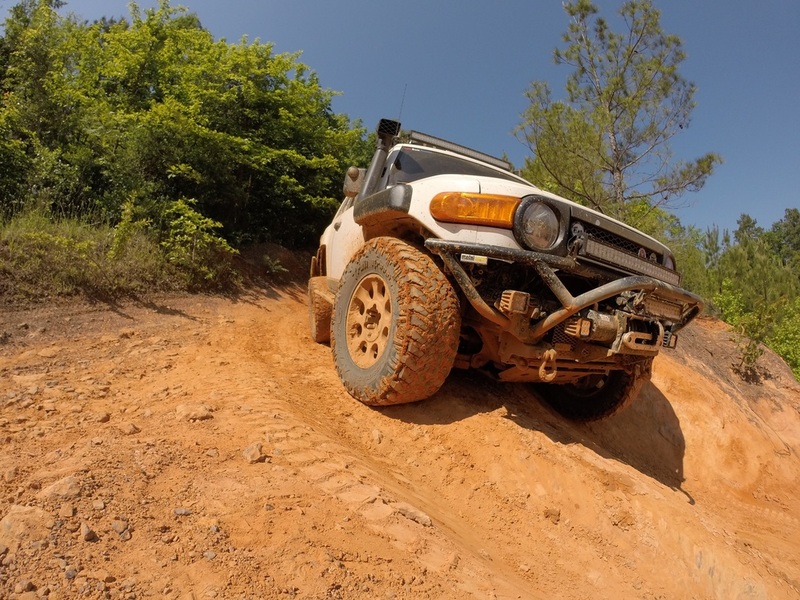 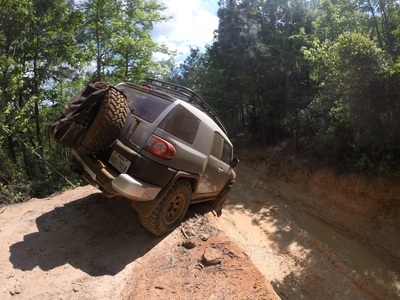 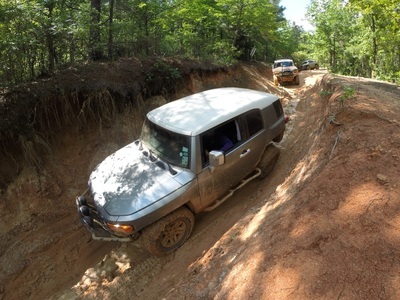 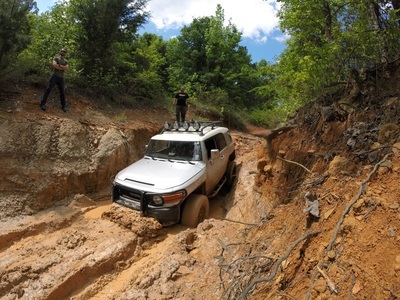 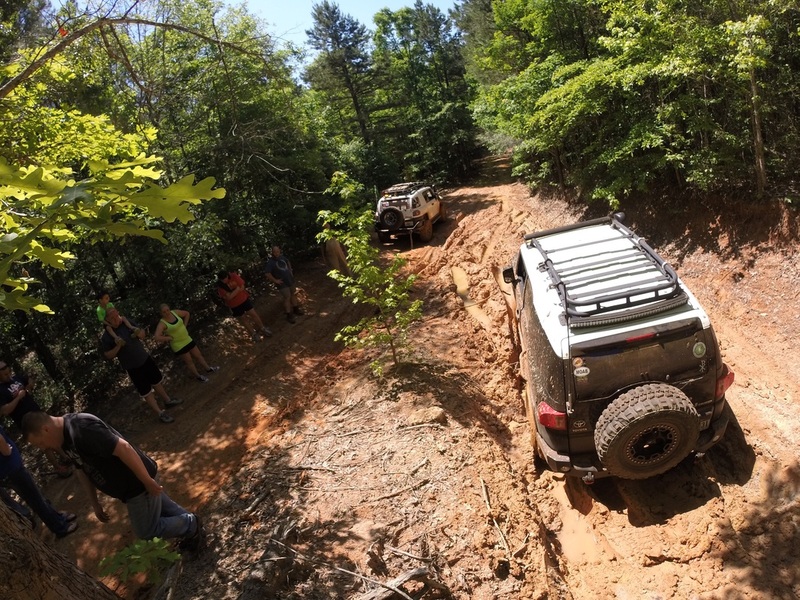 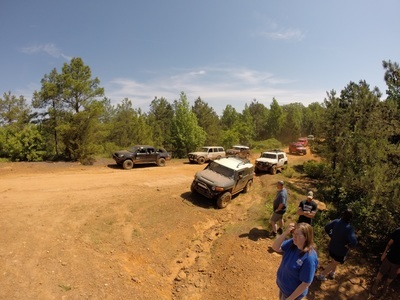 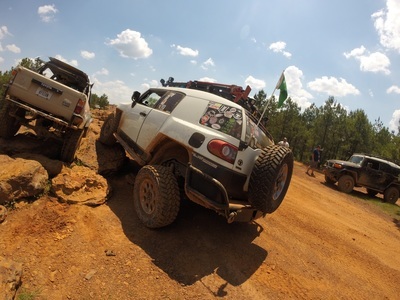 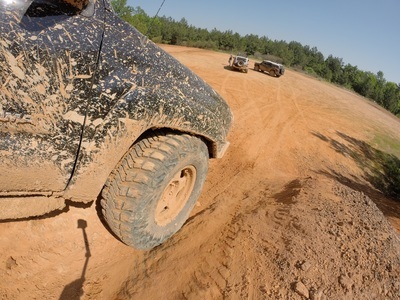 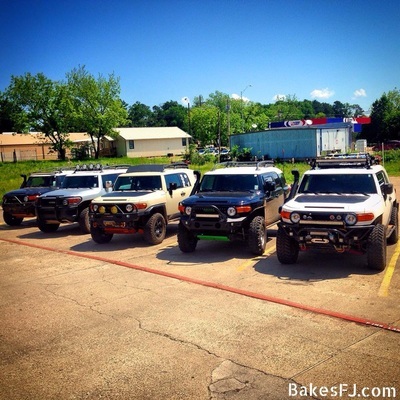 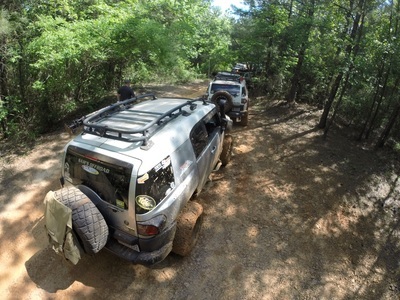 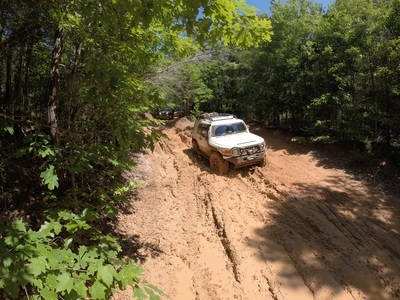 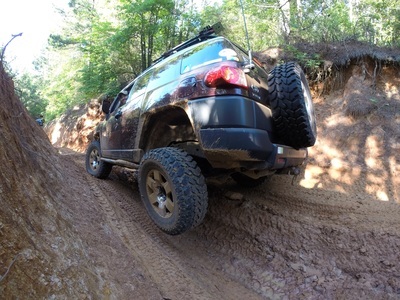 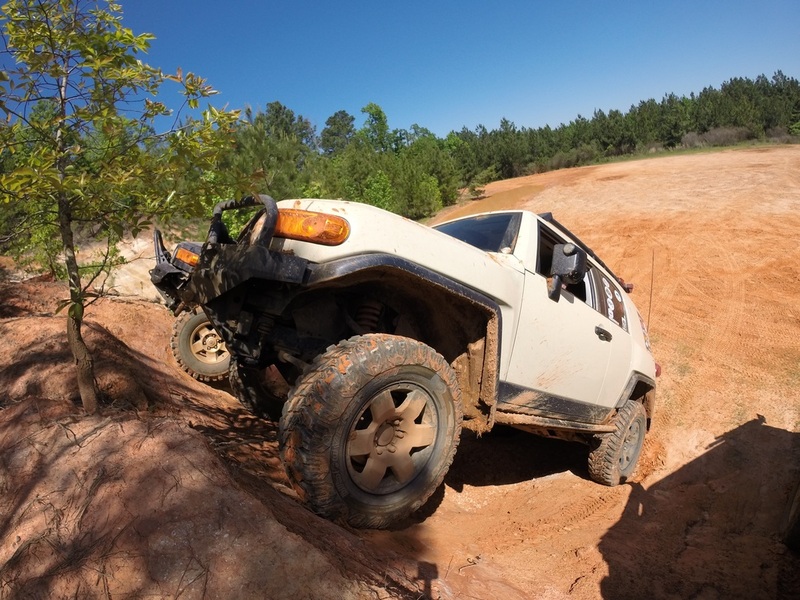 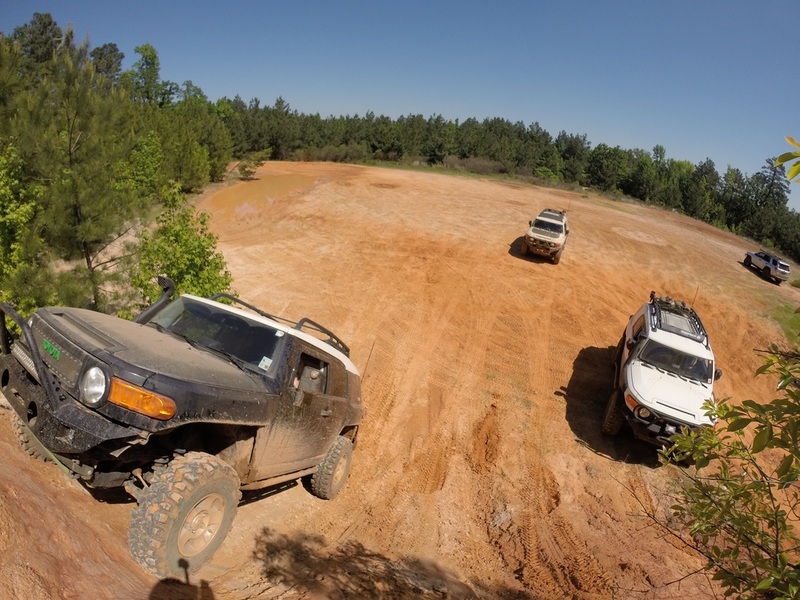 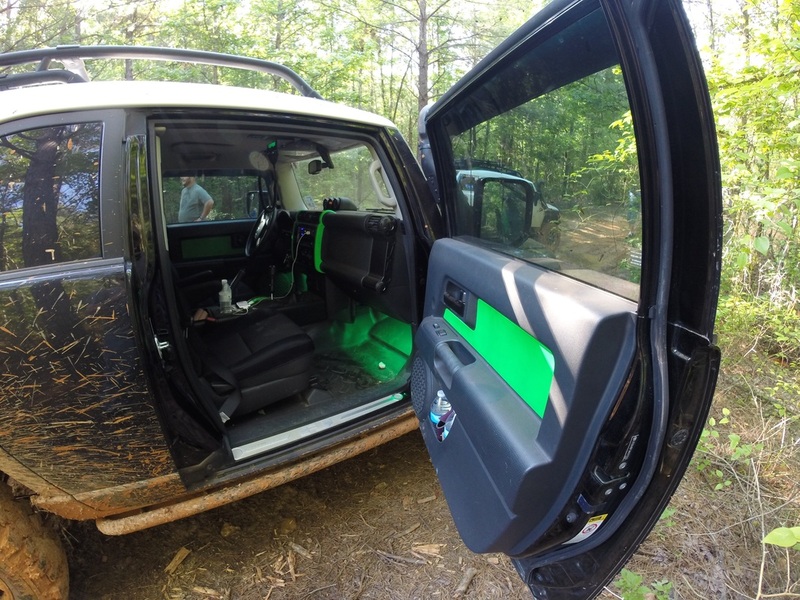 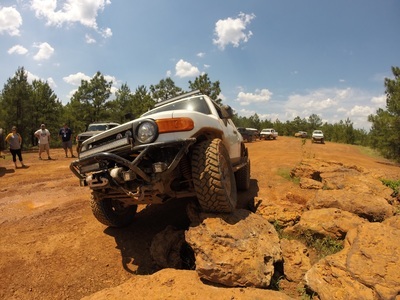 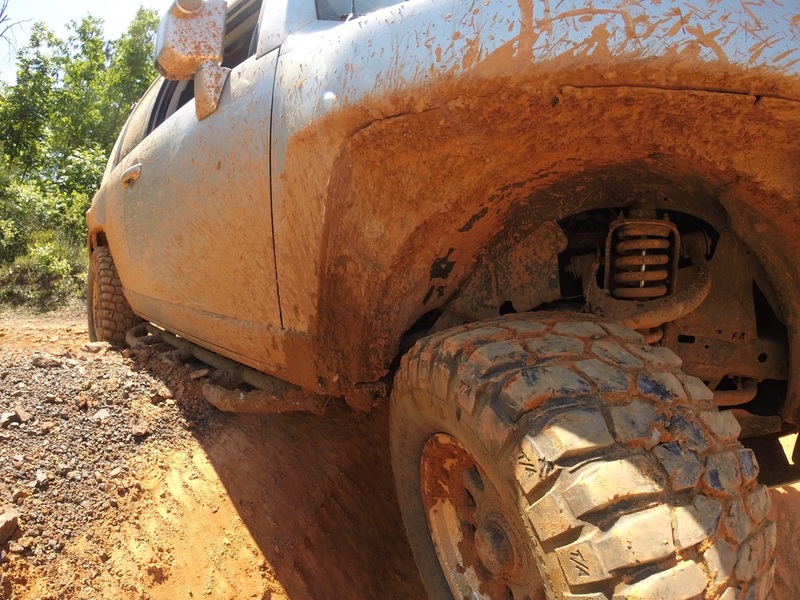 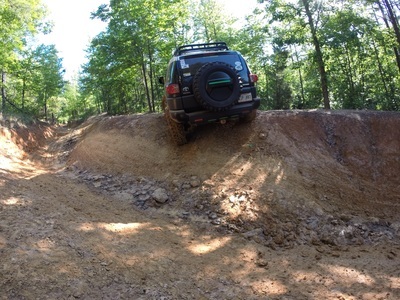 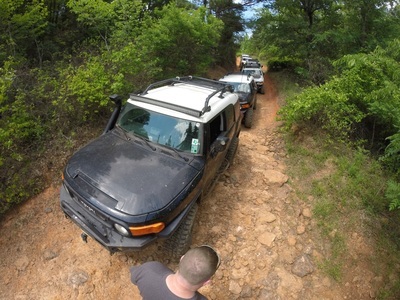 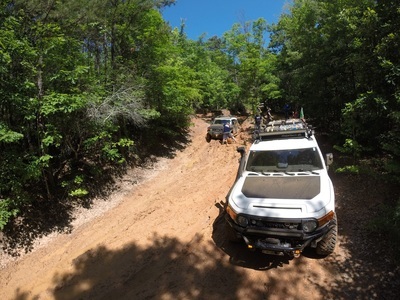 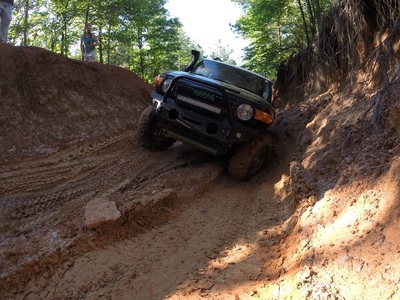 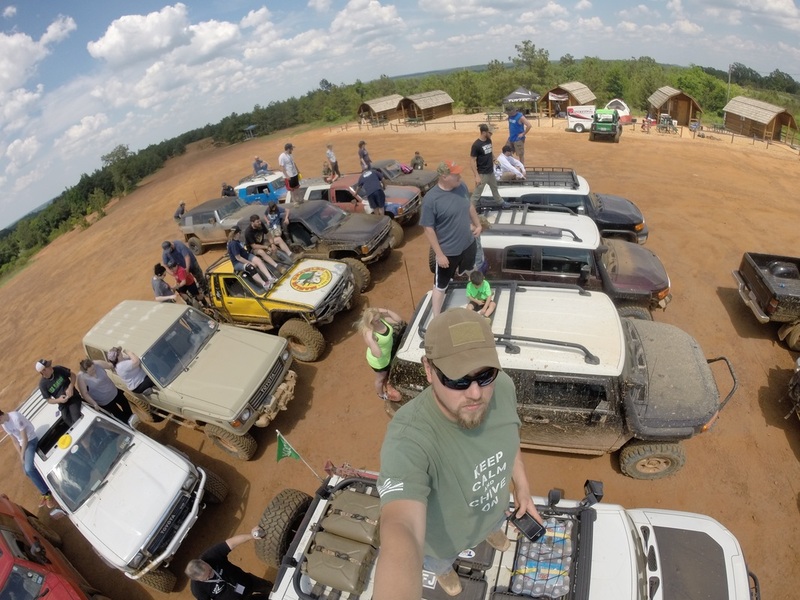 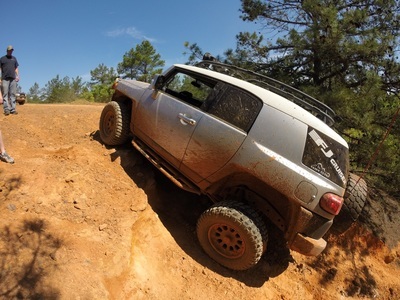 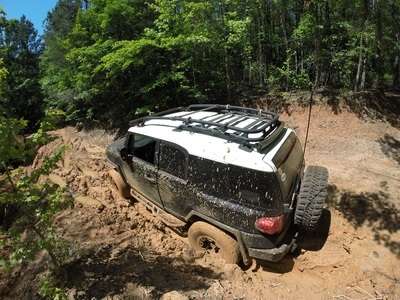 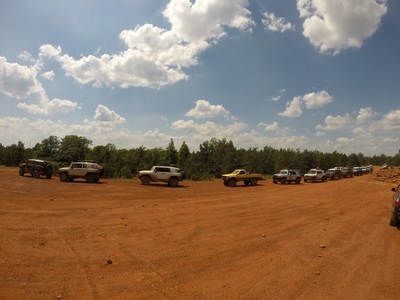 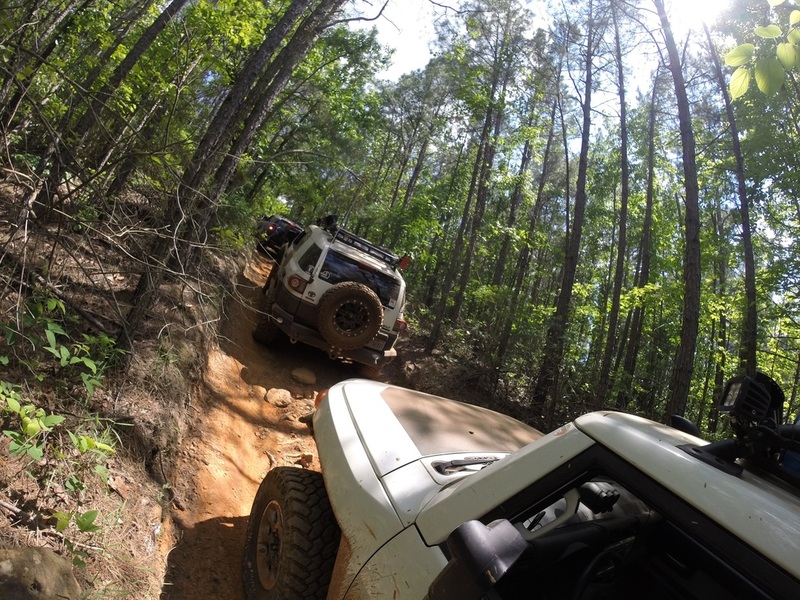 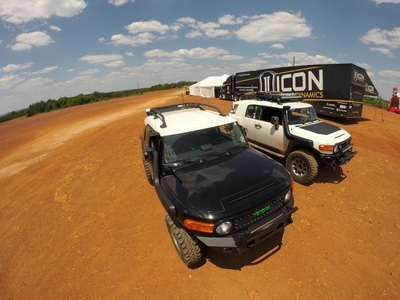 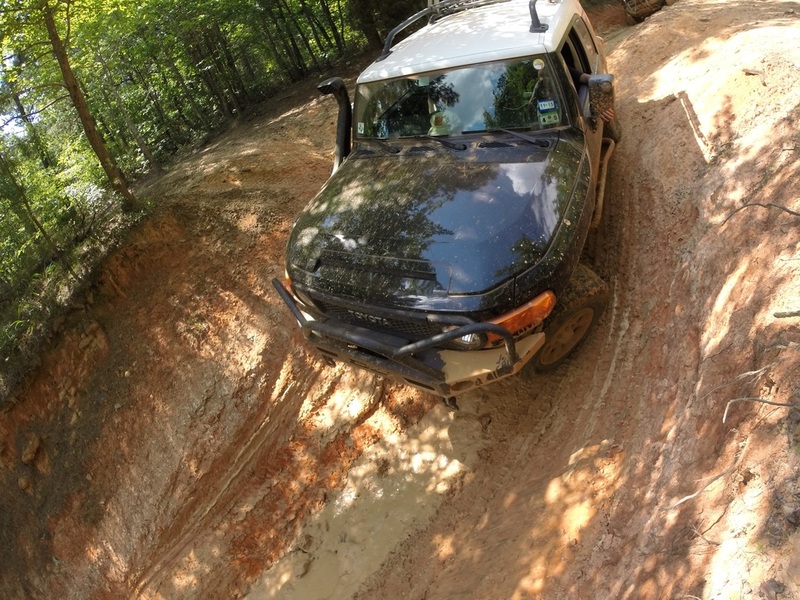 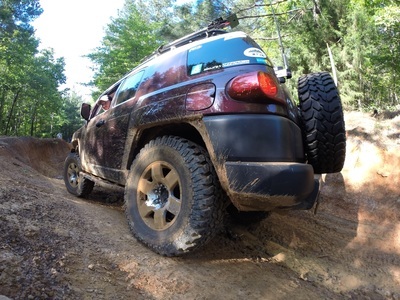 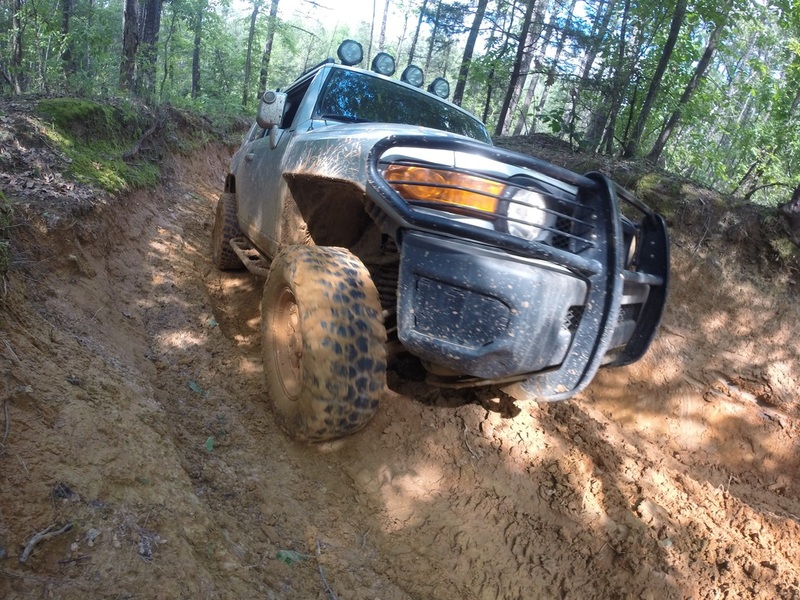 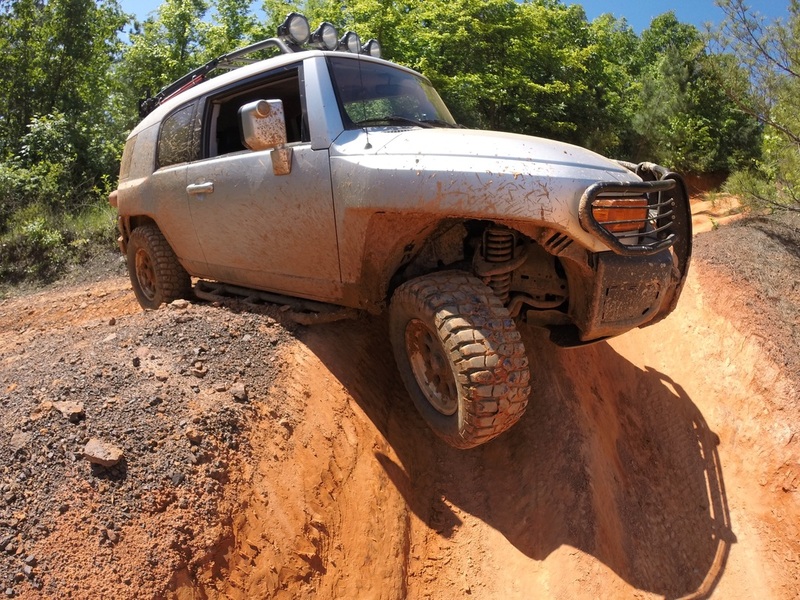 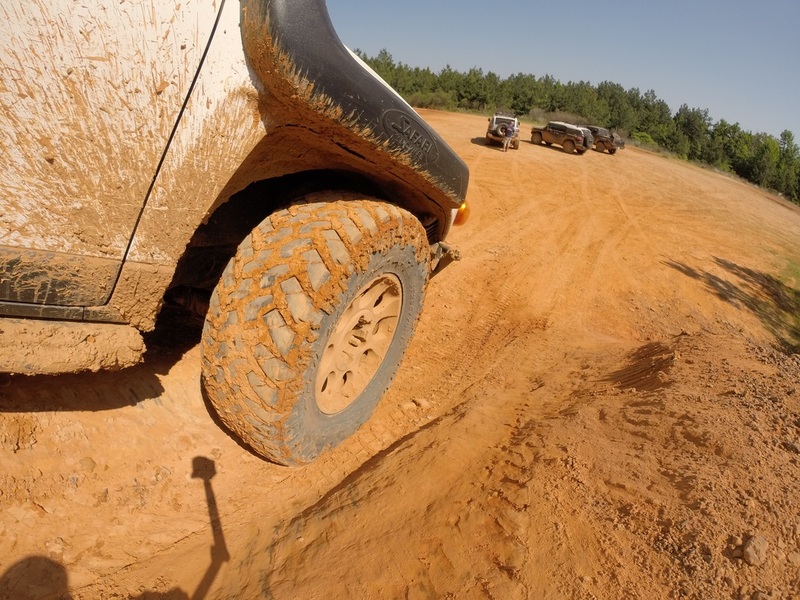 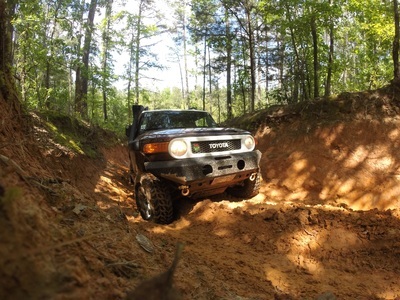 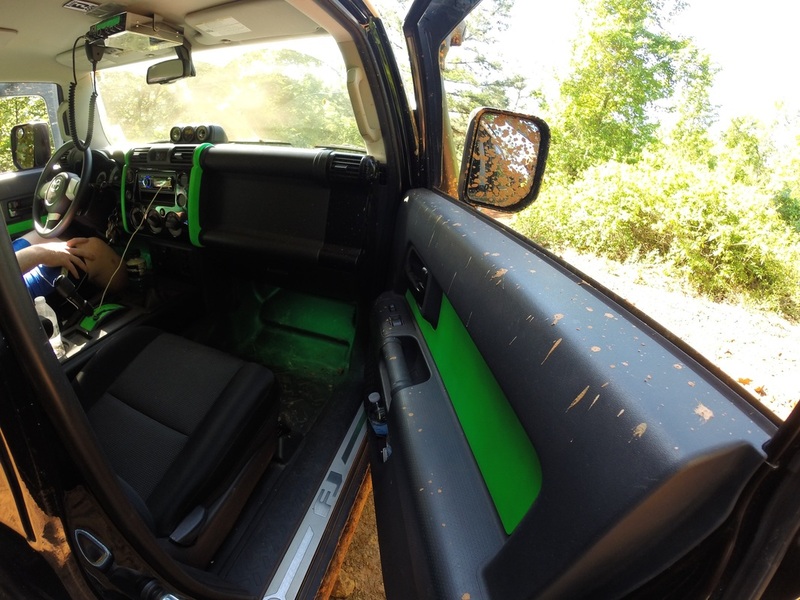 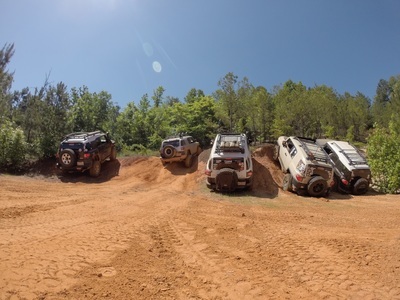 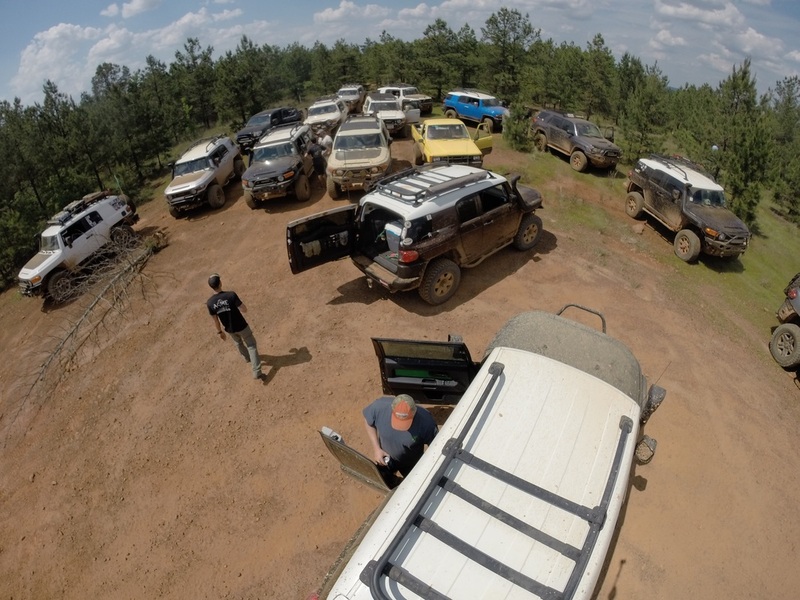 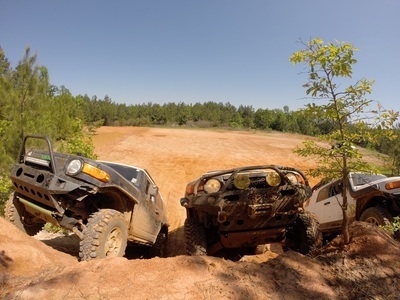 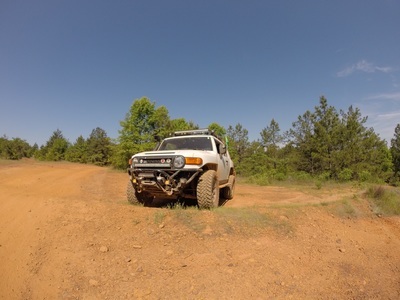 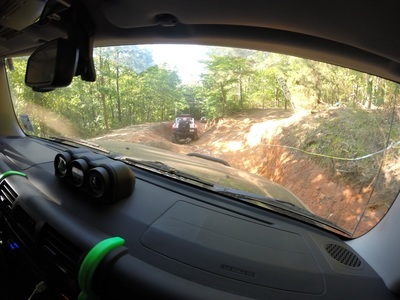 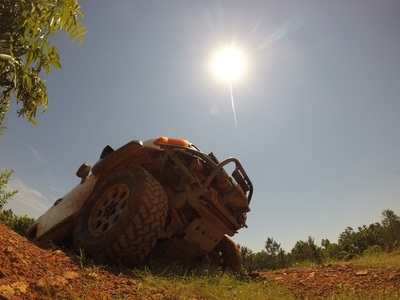 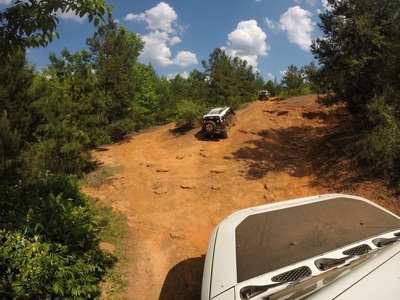 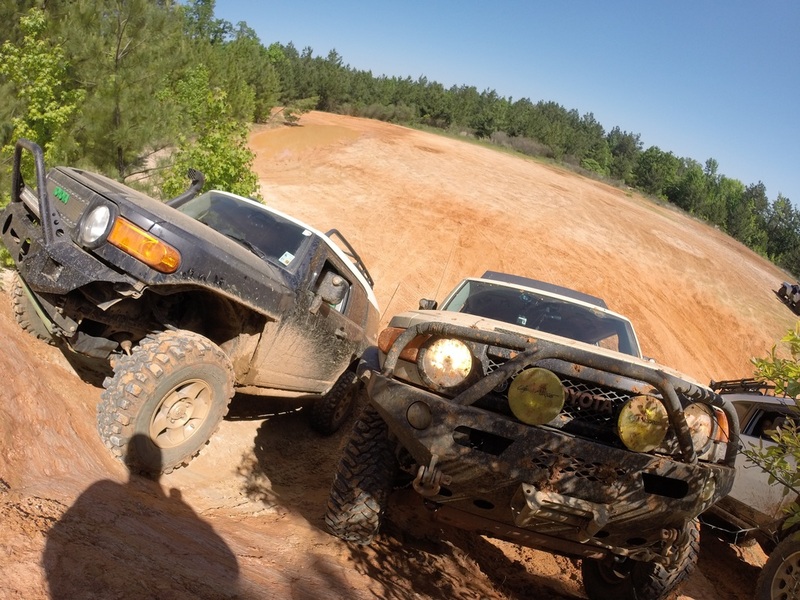 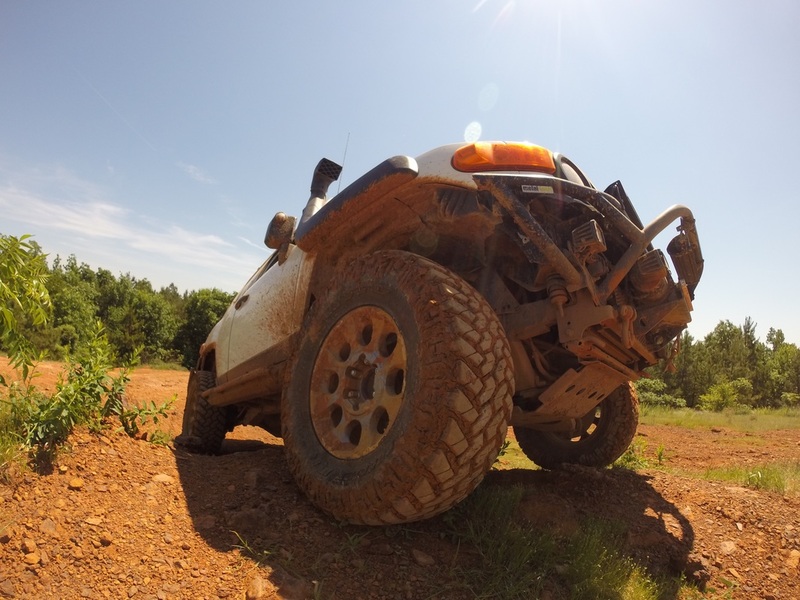 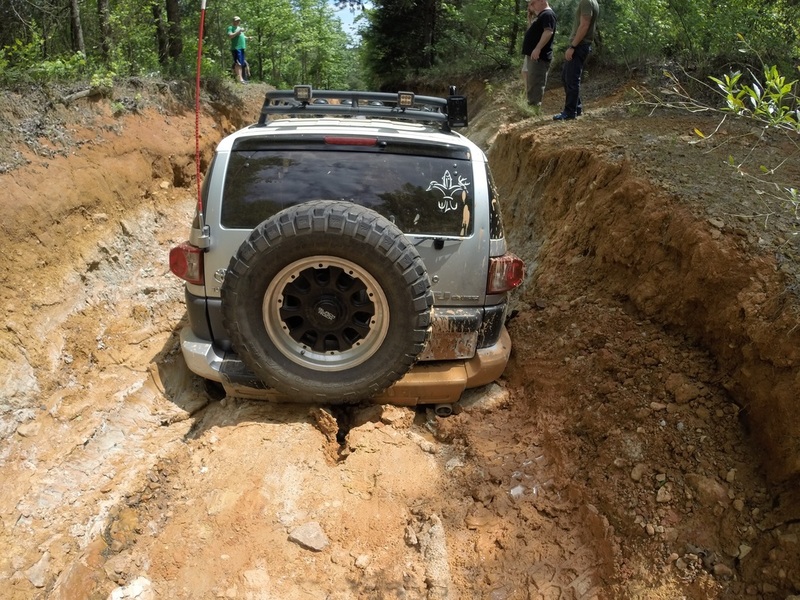 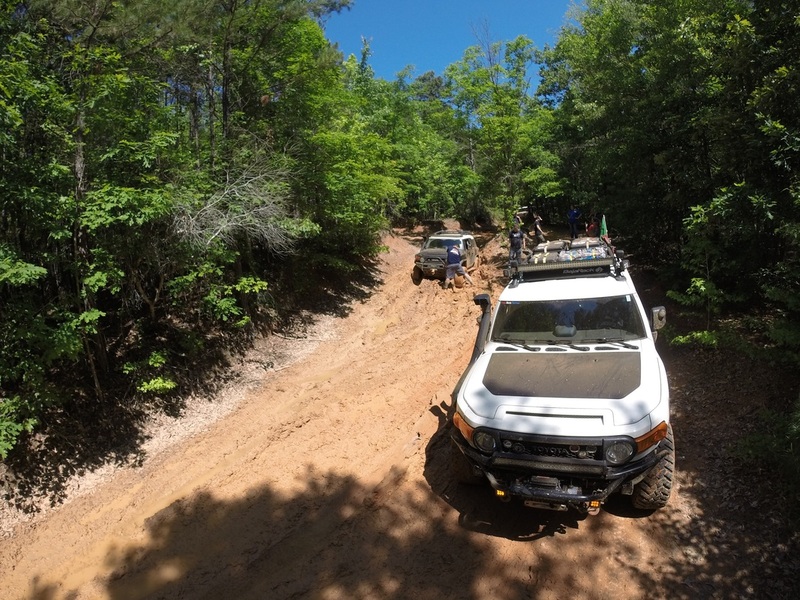 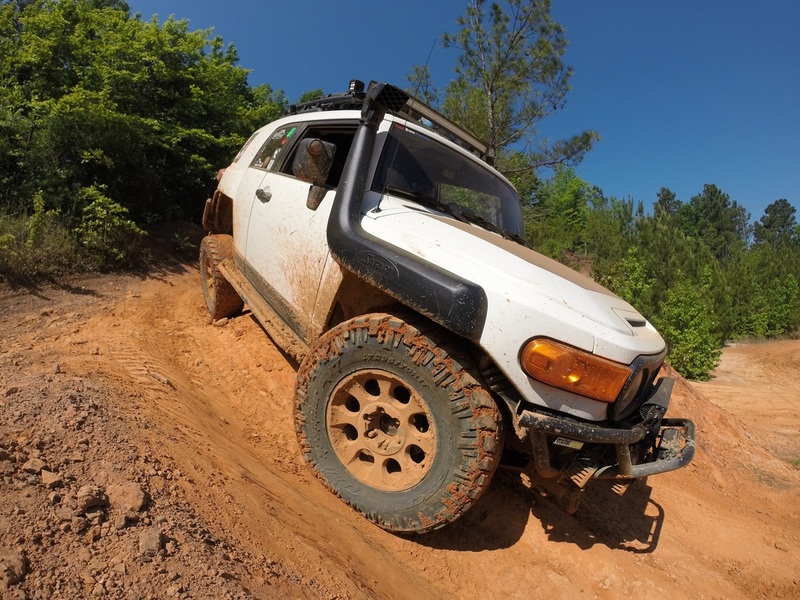 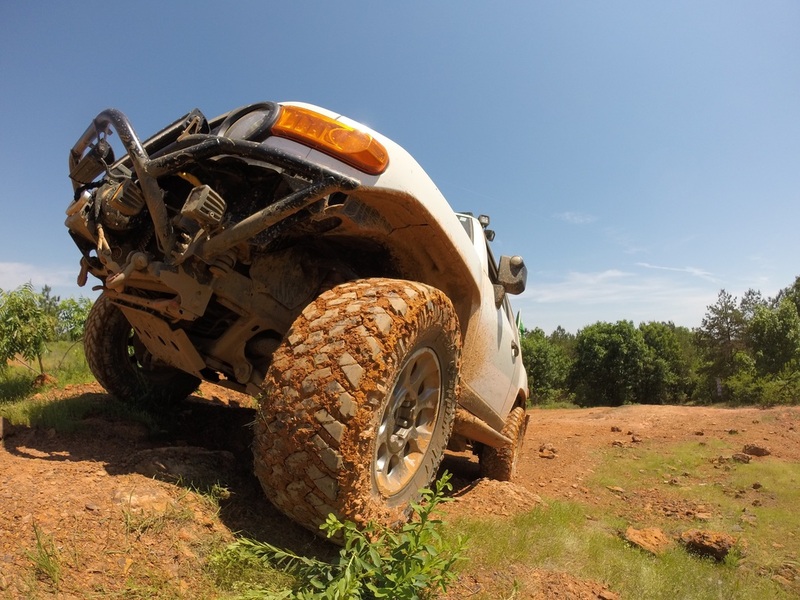 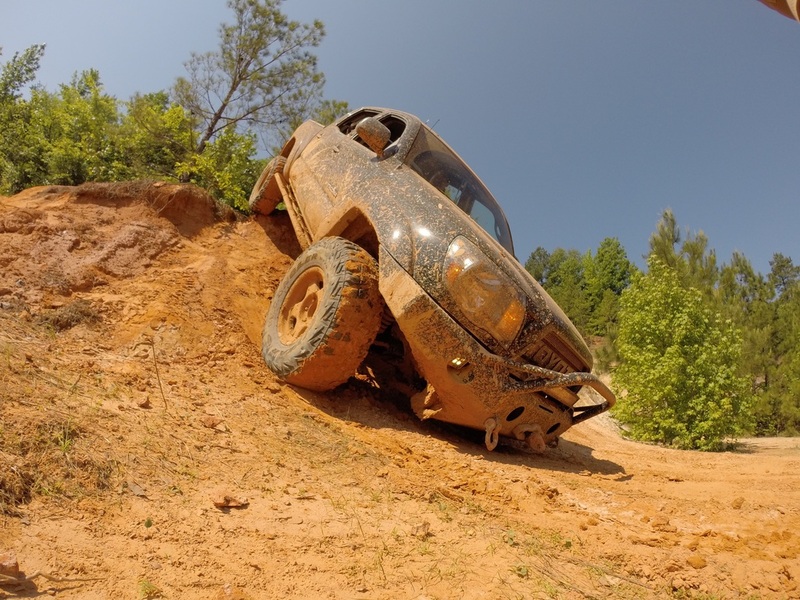 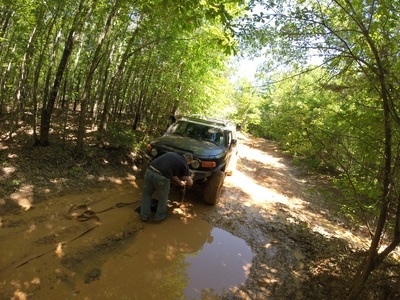 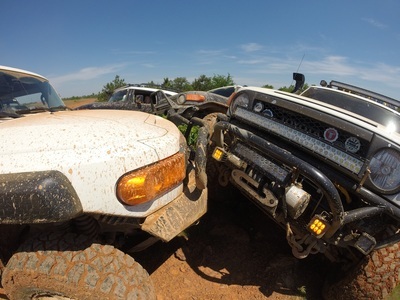 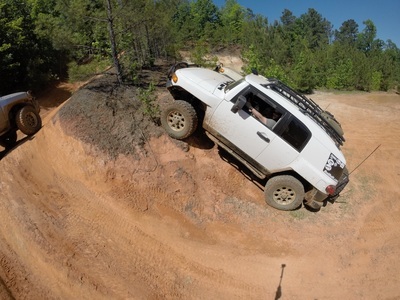 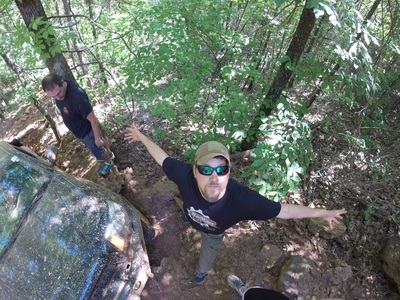 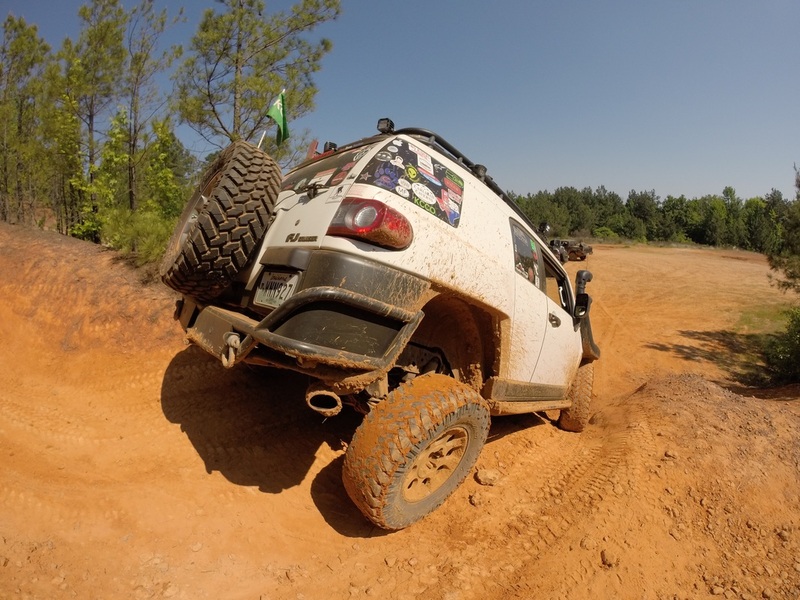 Barnwell is one of the closest and more centralized locations for the majority of ArkLaTex Offroad club members to meet up and wheel. 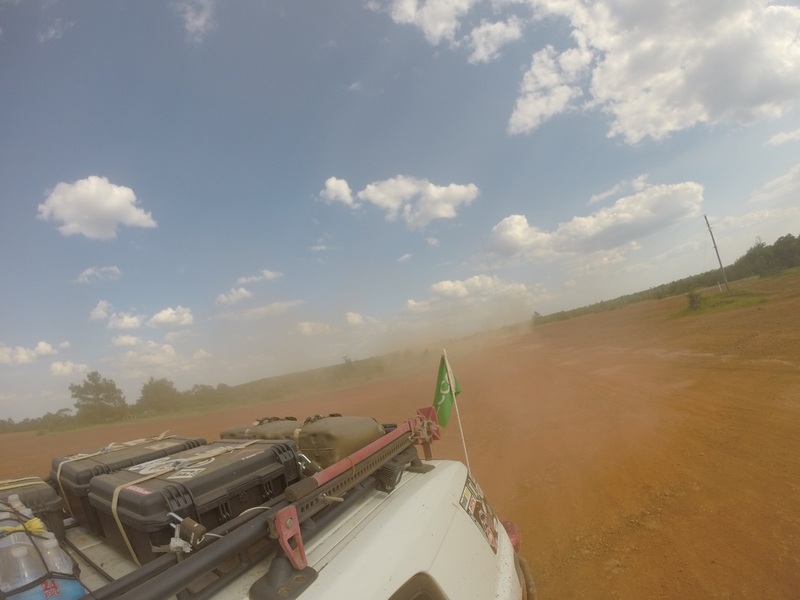 We are currently in the process of building our own camp site and we look forward to camping there next year for Jambo. Since the 10th annual Lone Star Toyota Jamboree was our 1st time and most of us act like teenagers, this will be something we talk about for a very long time. 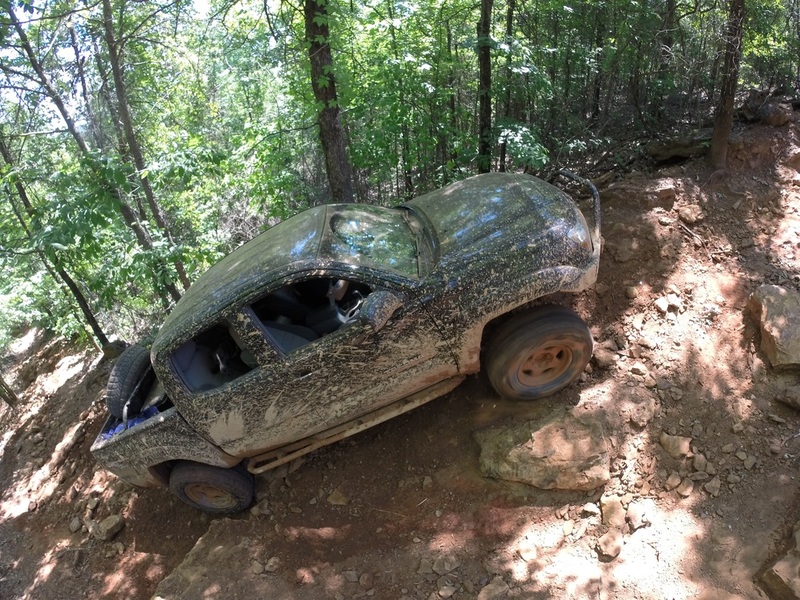 If you're thinking to yourself, "was that a sexual joke?" 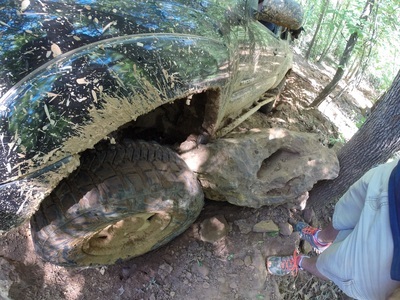 the answer is, yes...yes it was.